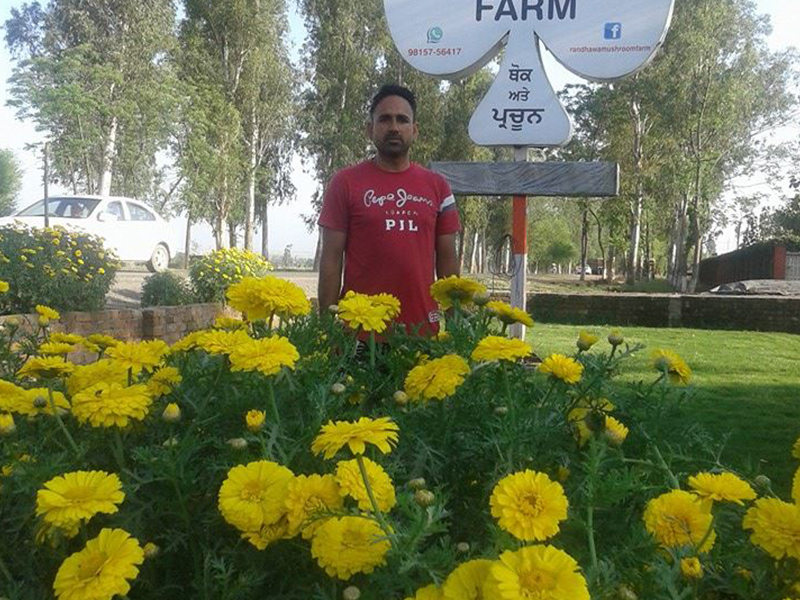 I’m Mandeep Singh Randhawa from Amritsar. 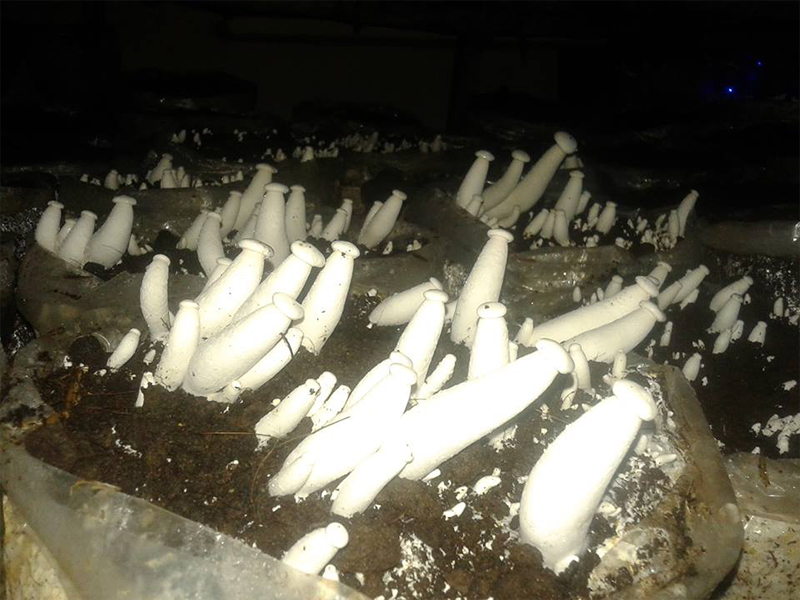 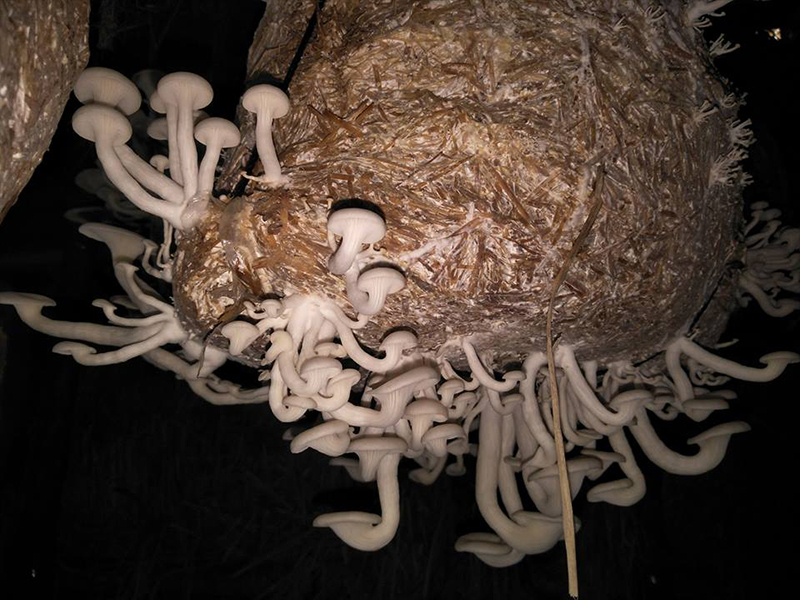 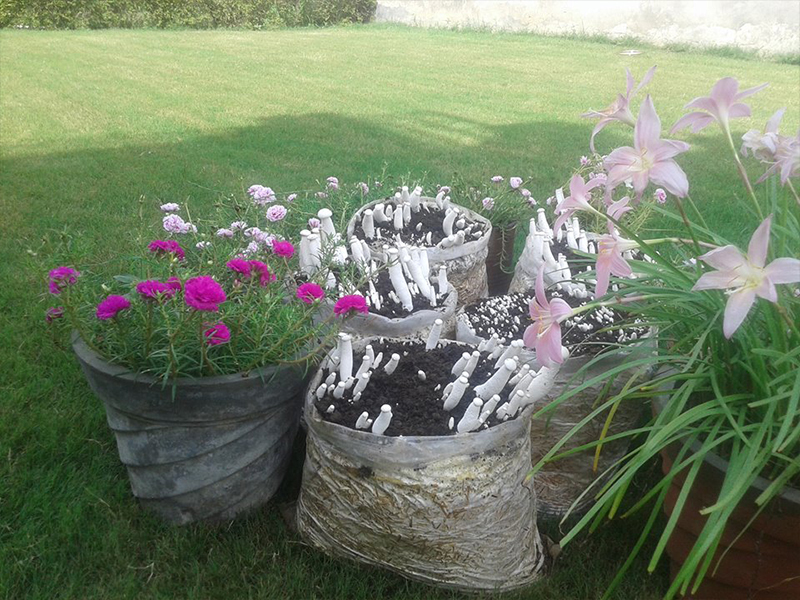 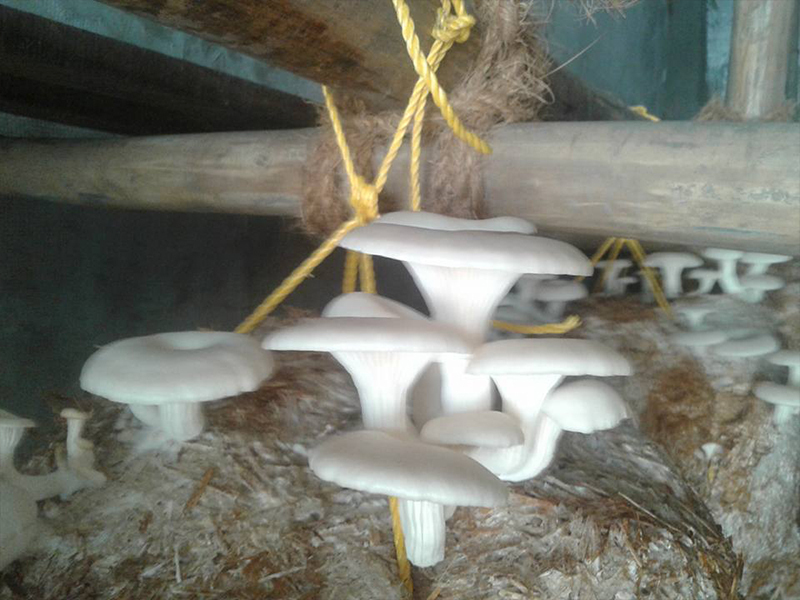 Mushroom cultivation was initially started by my mother Harjinder Kaur Randhawa in the house courtyard just for hobby purpose. 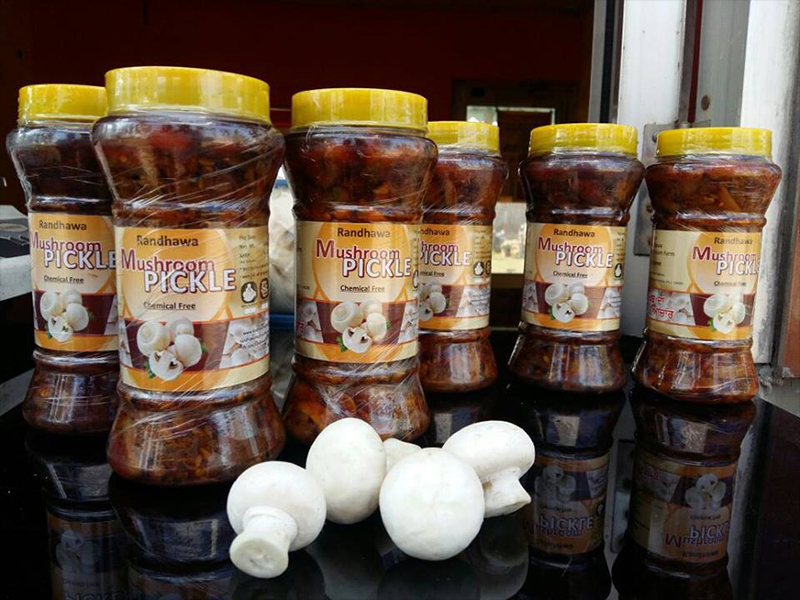 She started mushroom cultivation with no training and slowly expanded the work and also started making processed food items of mushrooms. 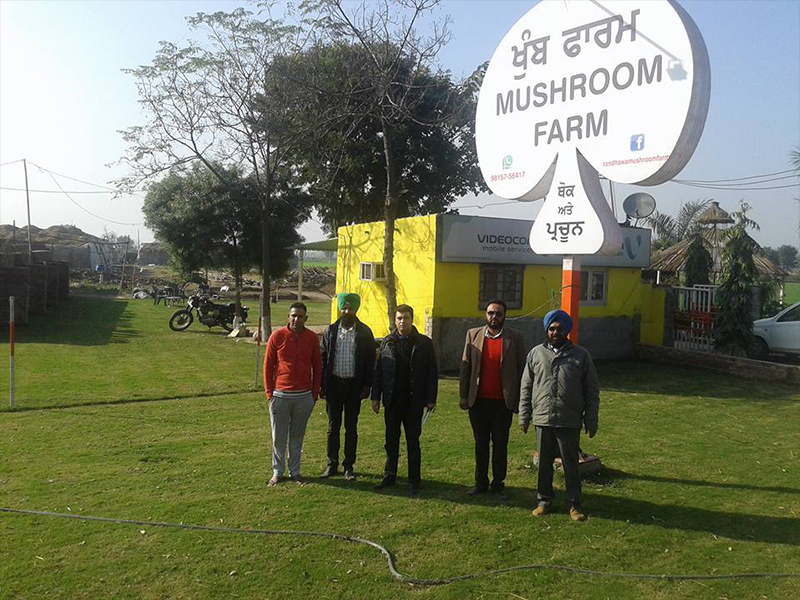 But when we (me and my brothers- Manjeet, Harpreet, Jagjeet) grew up, we decided of expanding the mushroom cultivation work. 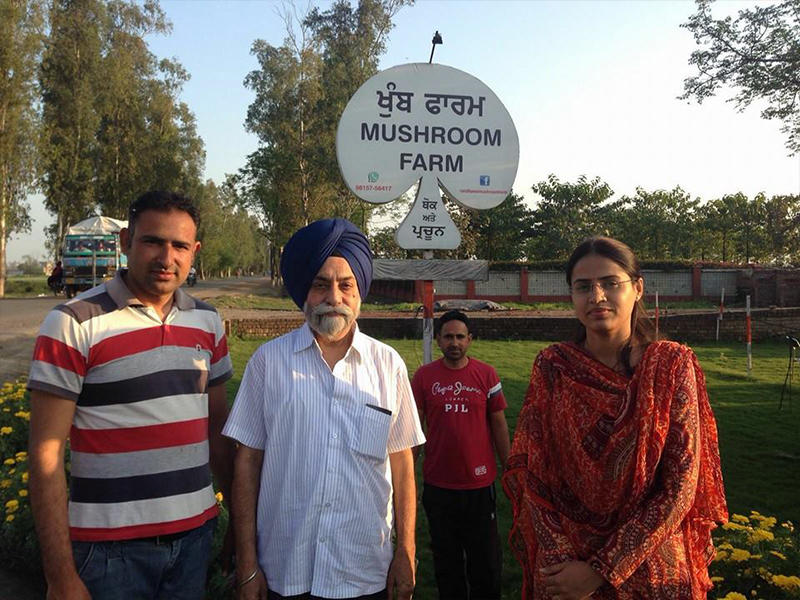 My brothers Manjeet and Harpreet and I, especially went to Directorate of Mushroom Research, Solan for training purpose. 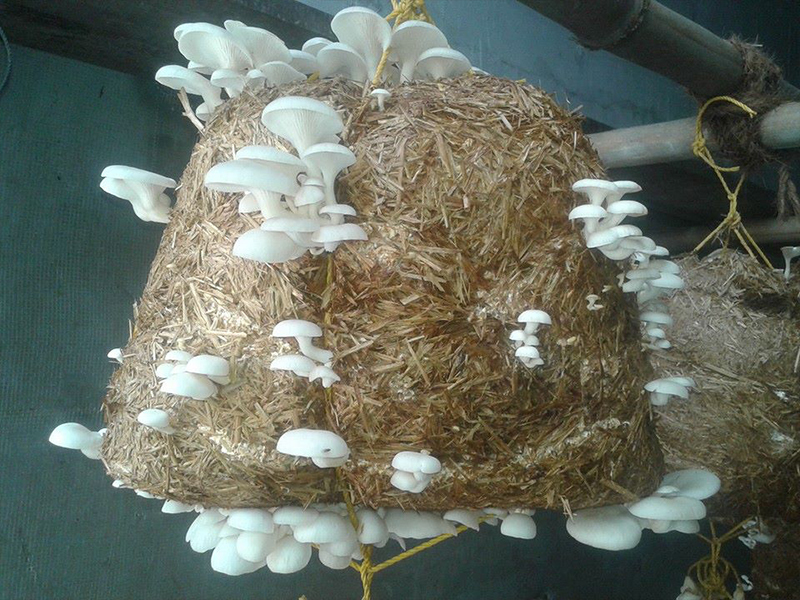 From there we learnt about growing different varieties of mushrooms like button, milky and oyster. 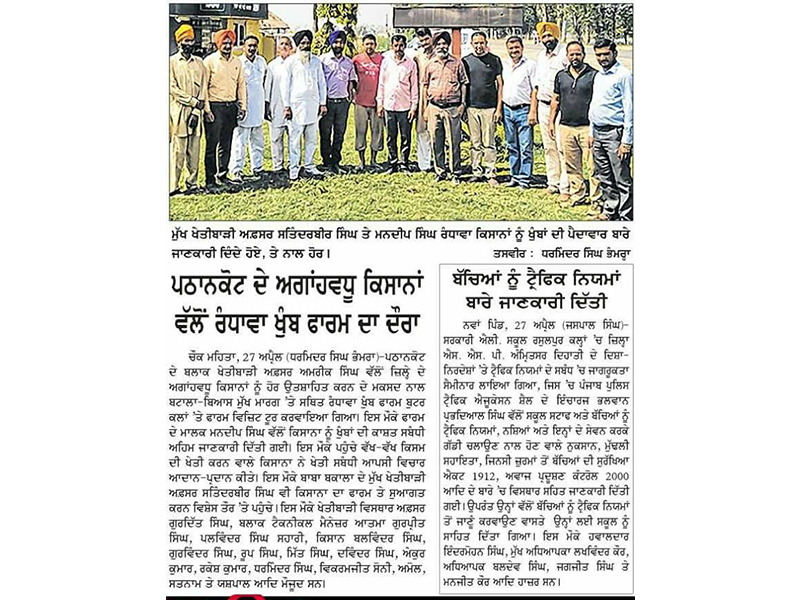 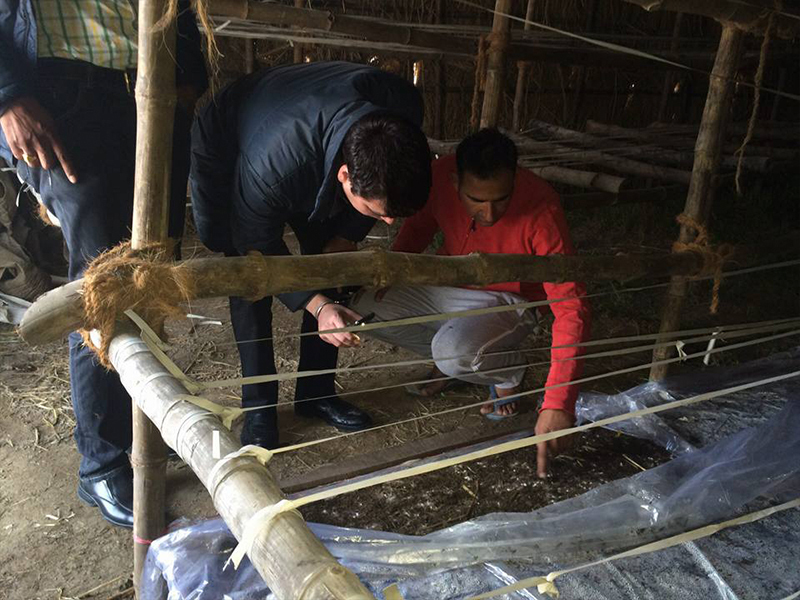 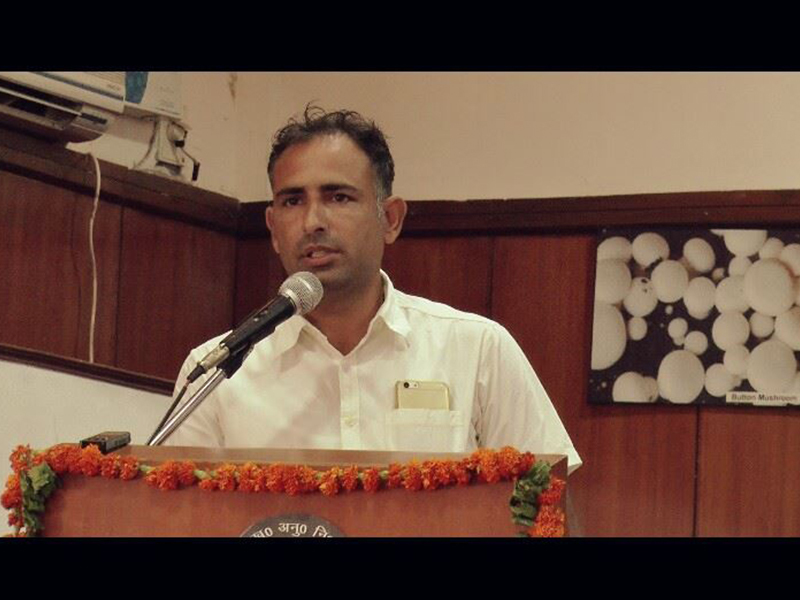 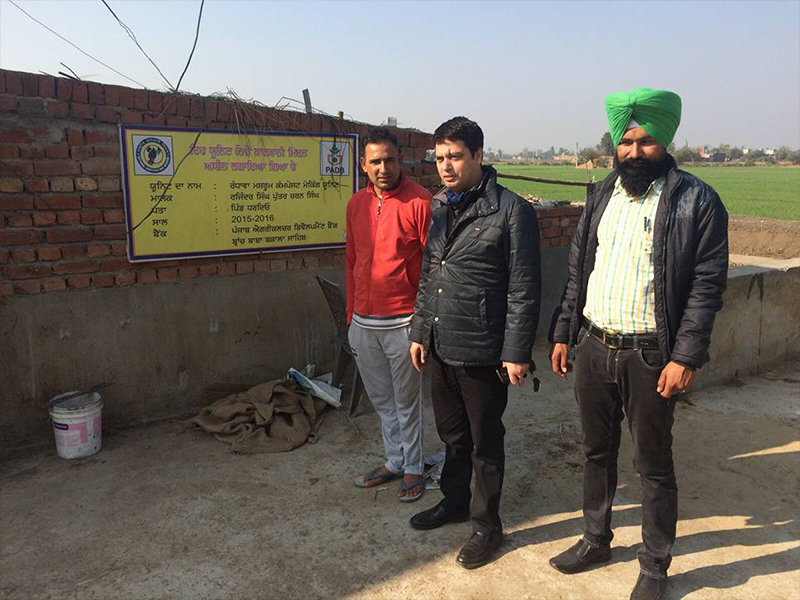 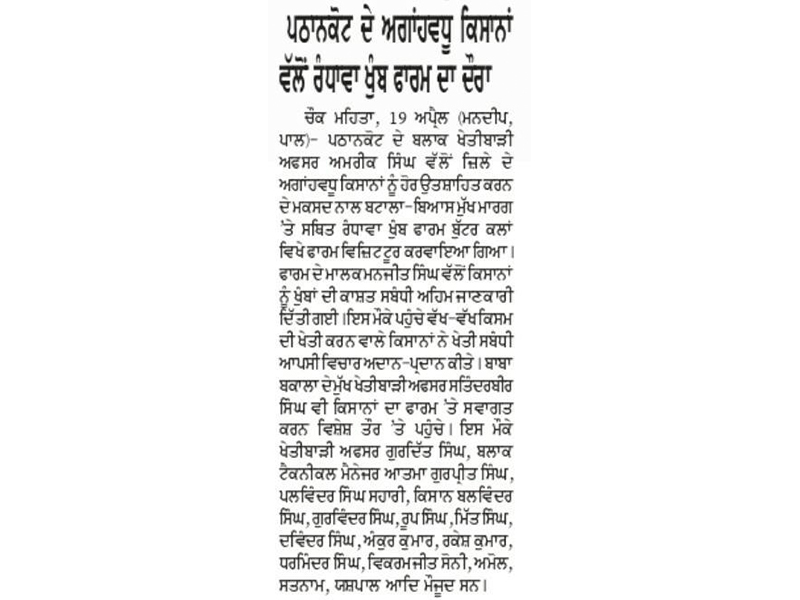 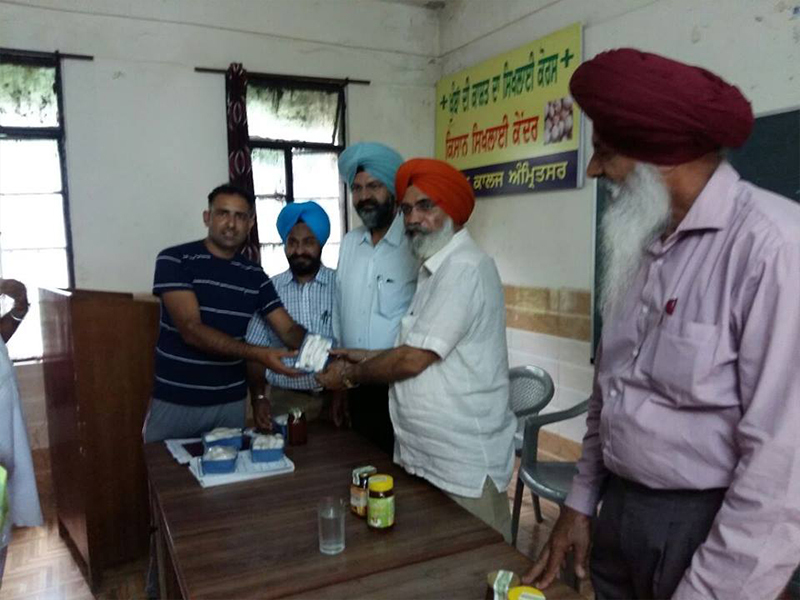 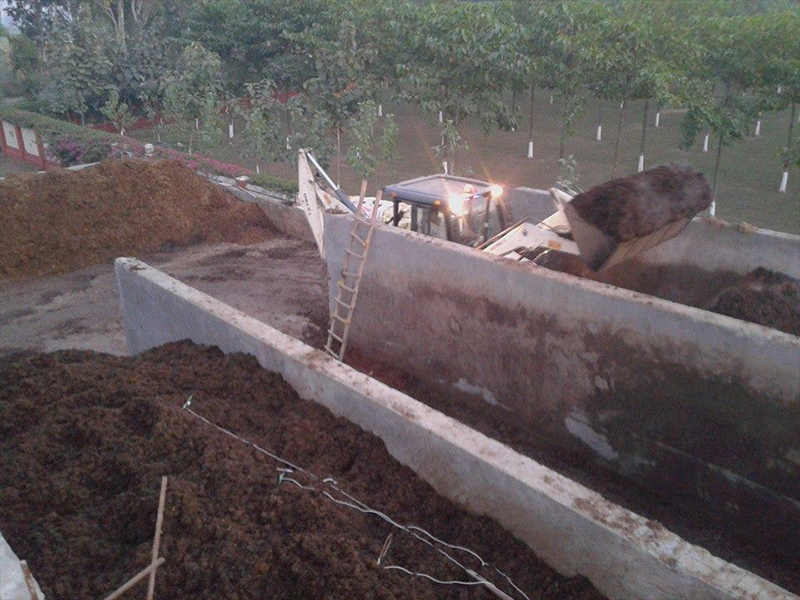 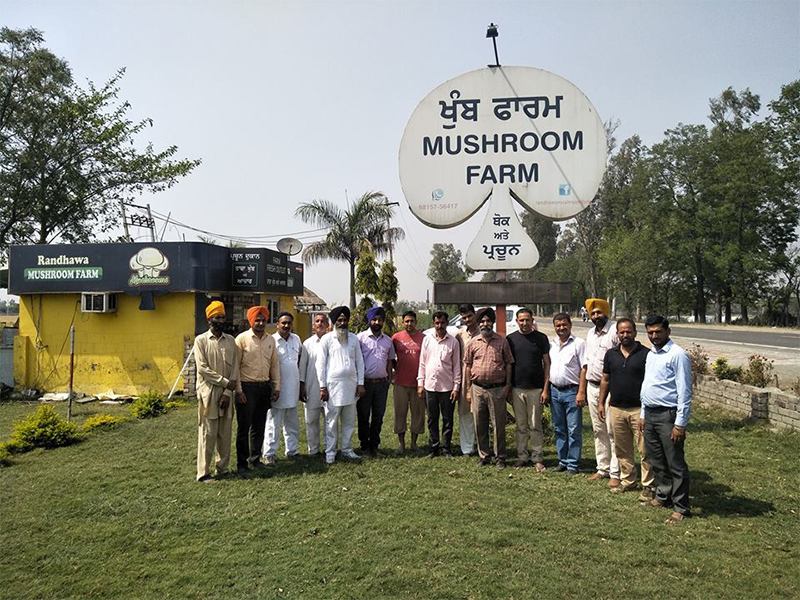 We also attended other vocational training given by Punjab Agriculture University on Mushroom Farming. 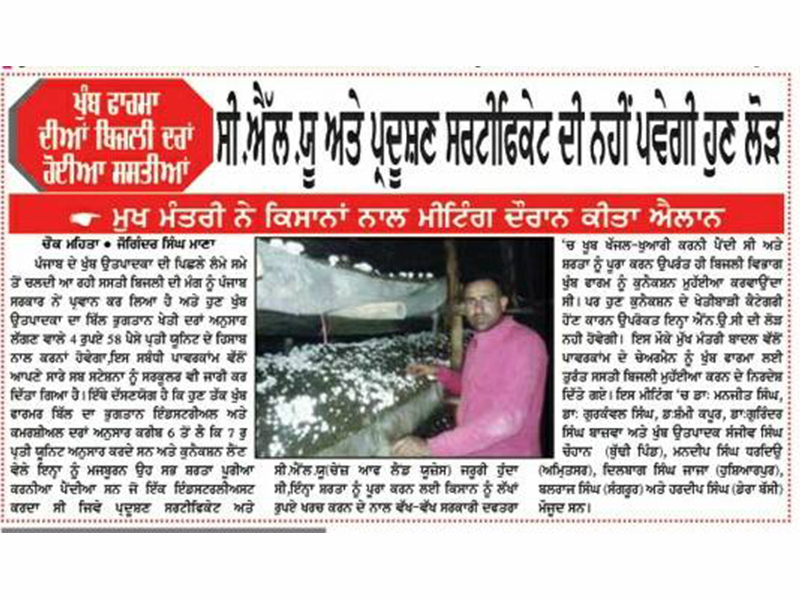 In the meanwhile our fourth brother went to Australia and started farming sugarcane and banana there. 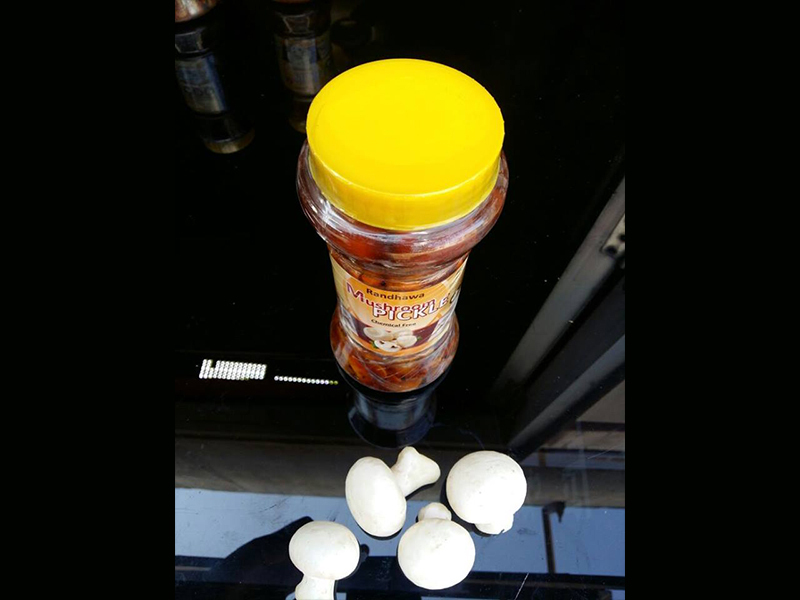 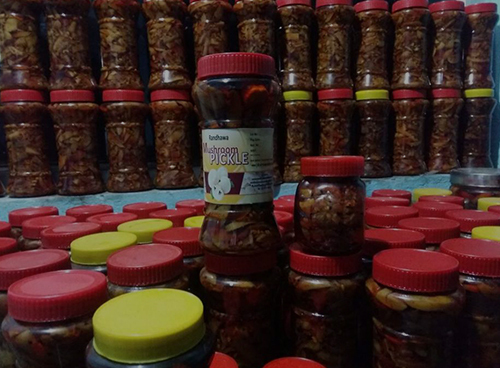 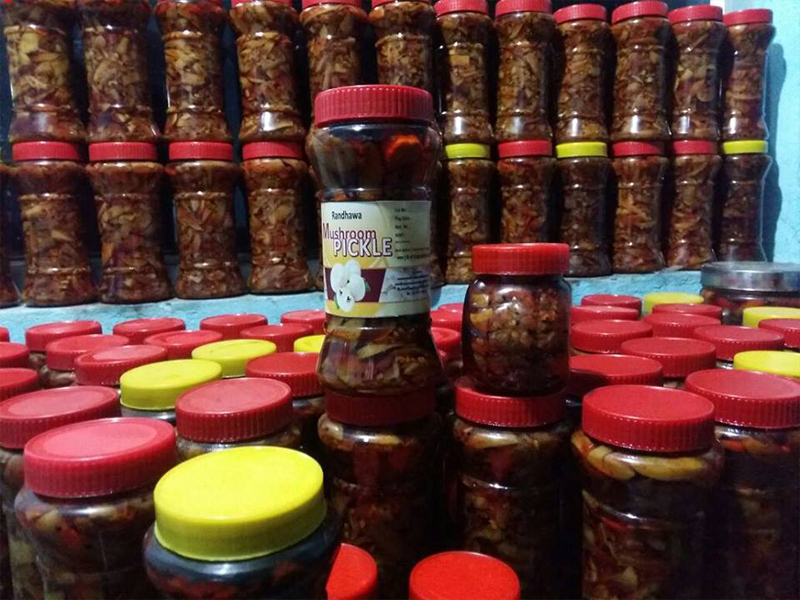 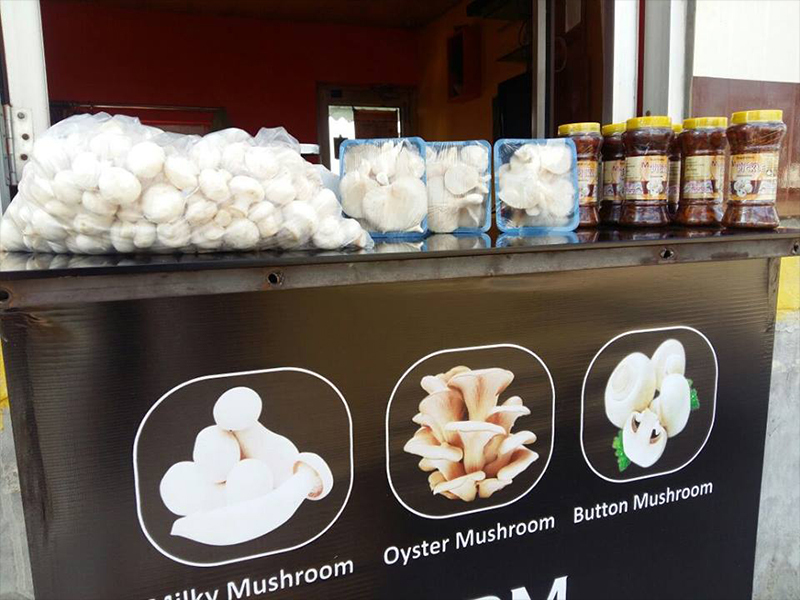 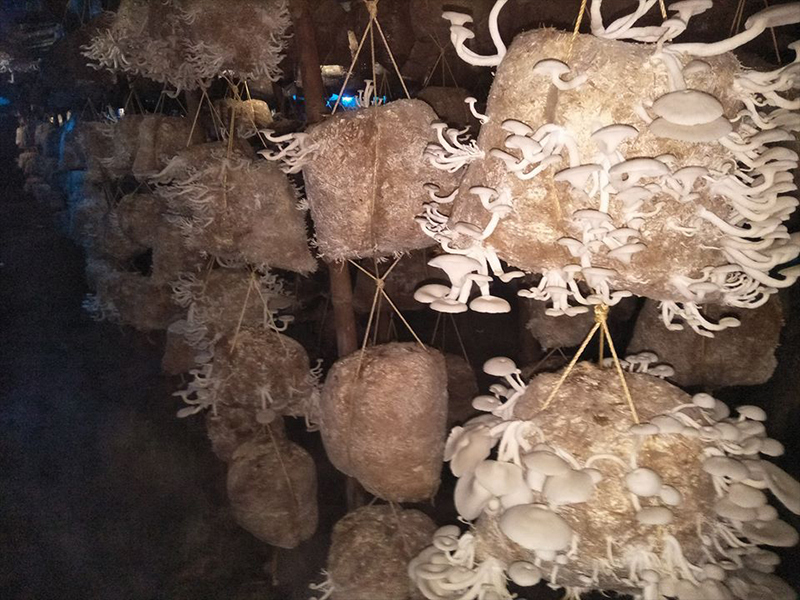 Slowly we expanded the mushroom business and started preparing processed mushroom products like Papad, Pickles, Milk Powder, Vadiyaan, Namkeen and Biscuits for commercial purpose. 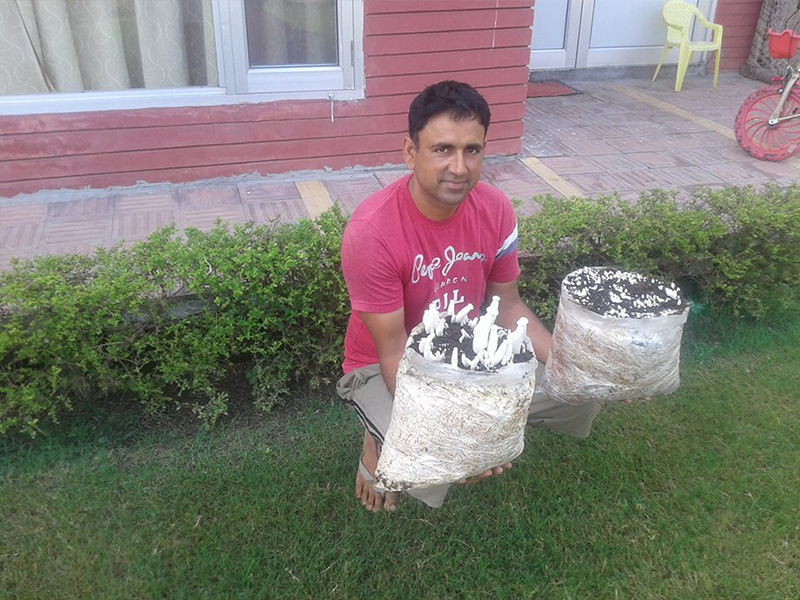 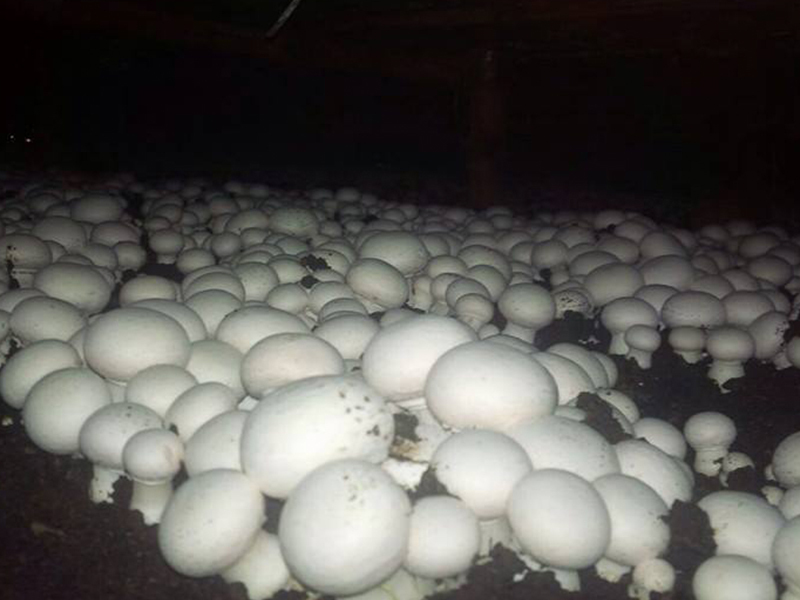 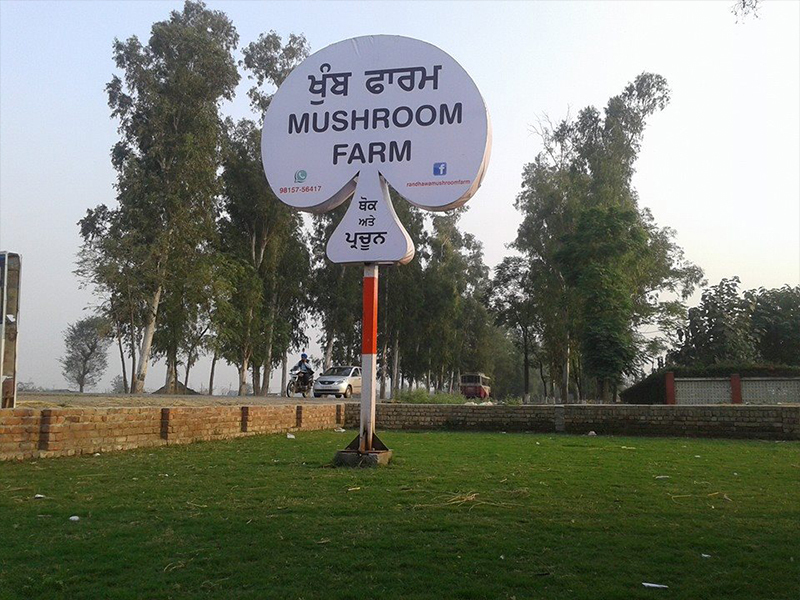 After some time, our father also joined the mushroom farming business after his retirement from Punjab Police. 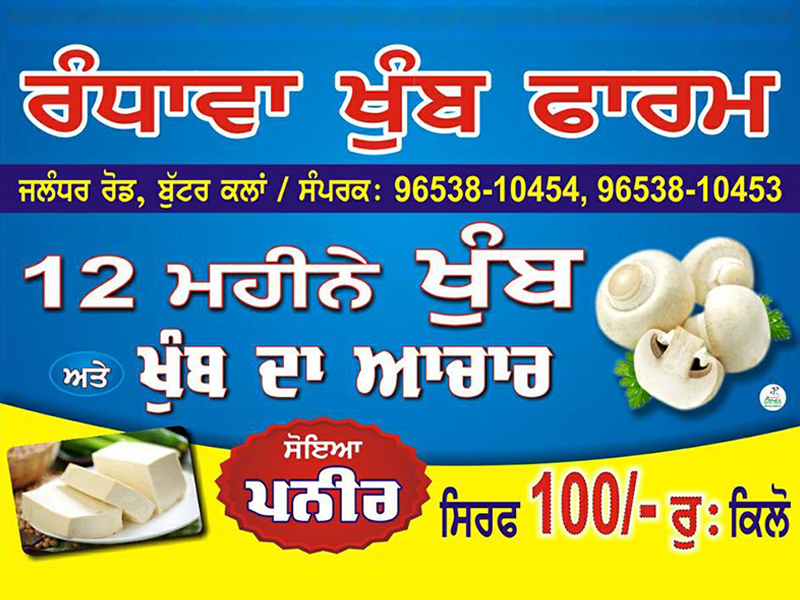 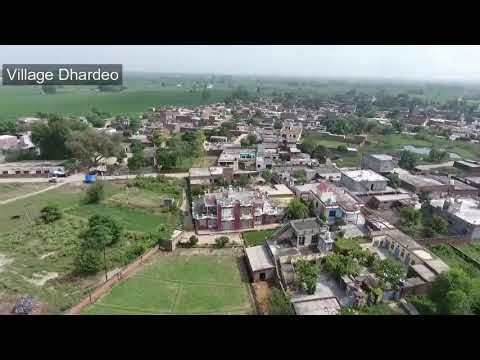 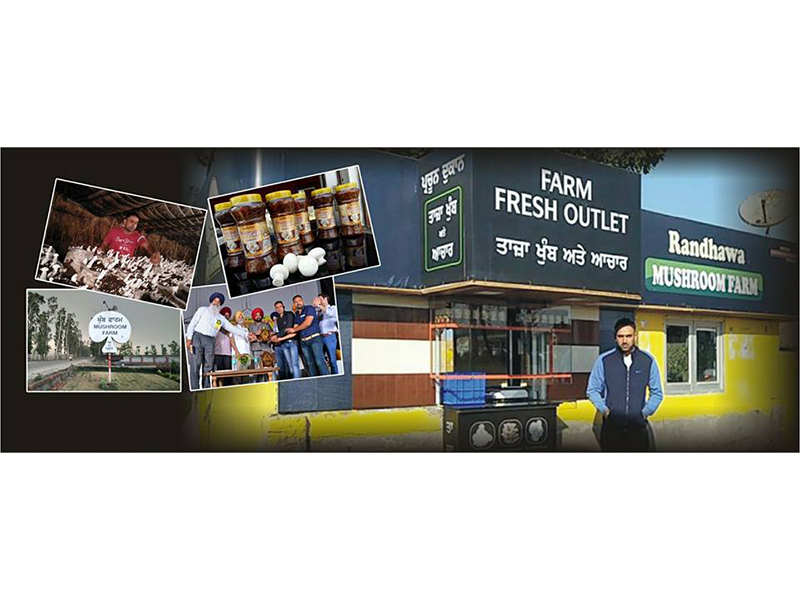 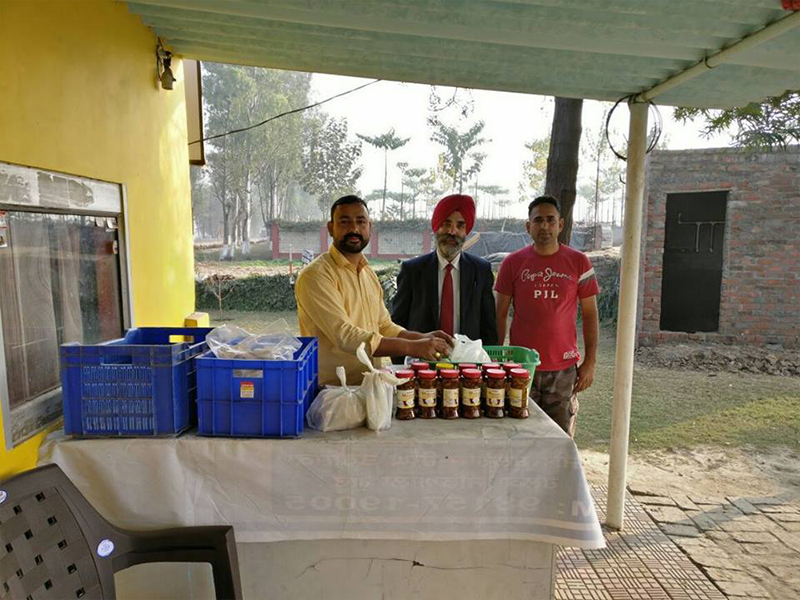 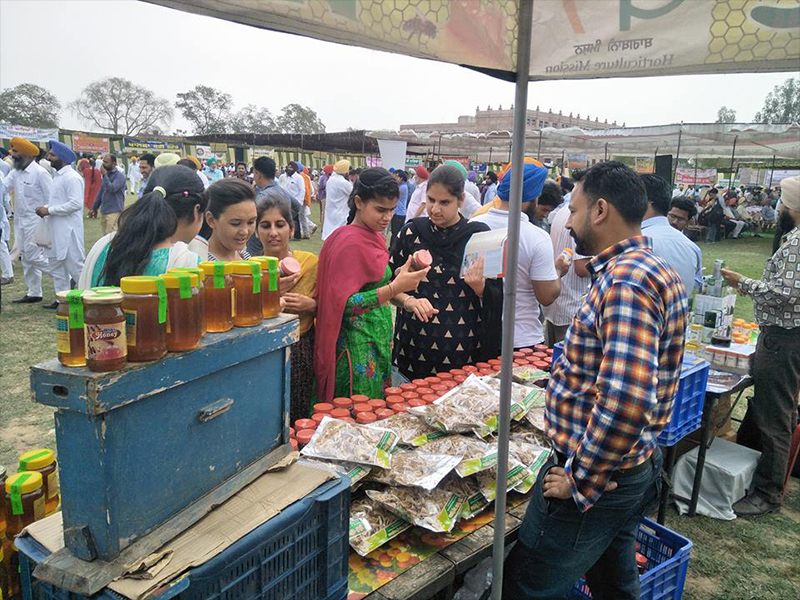 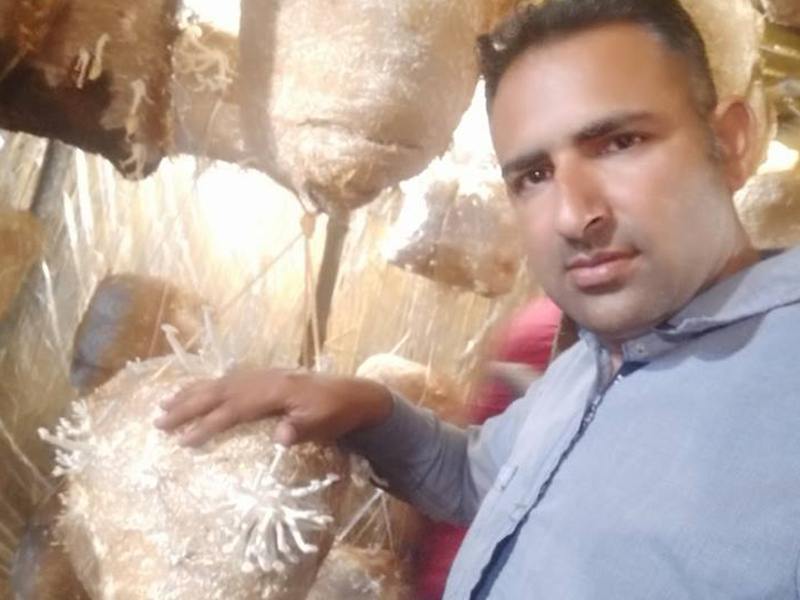 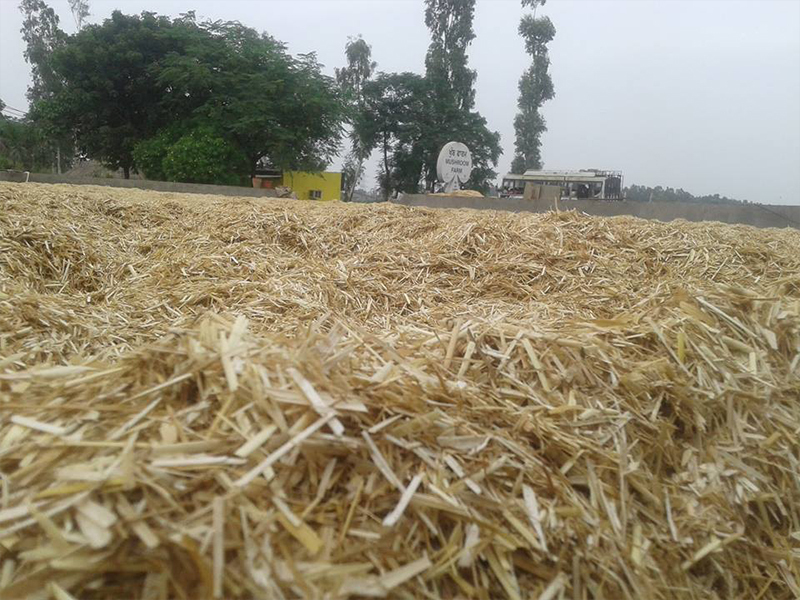 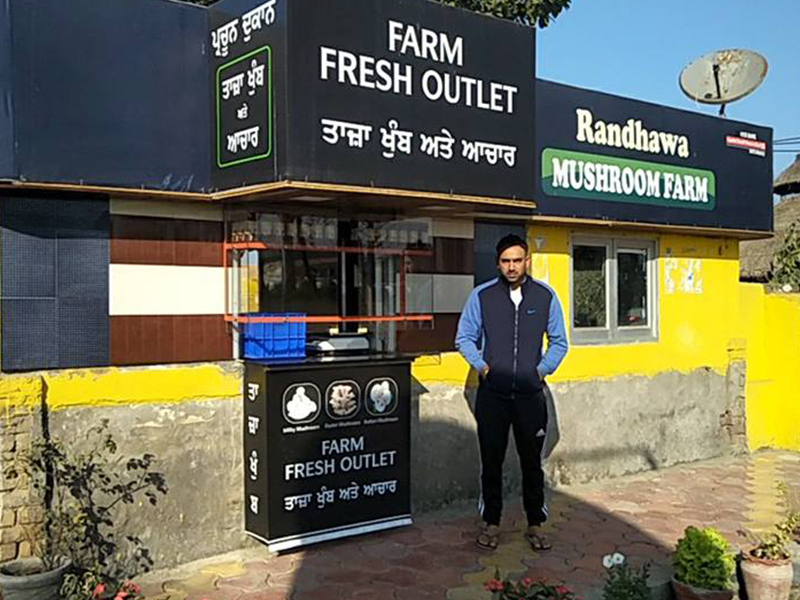 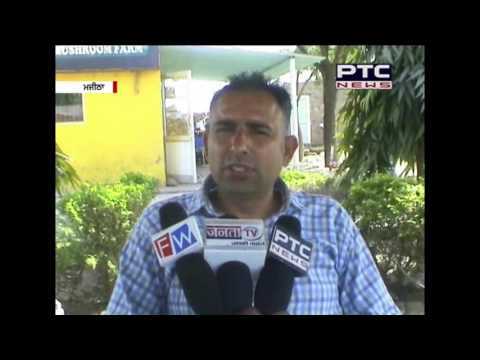 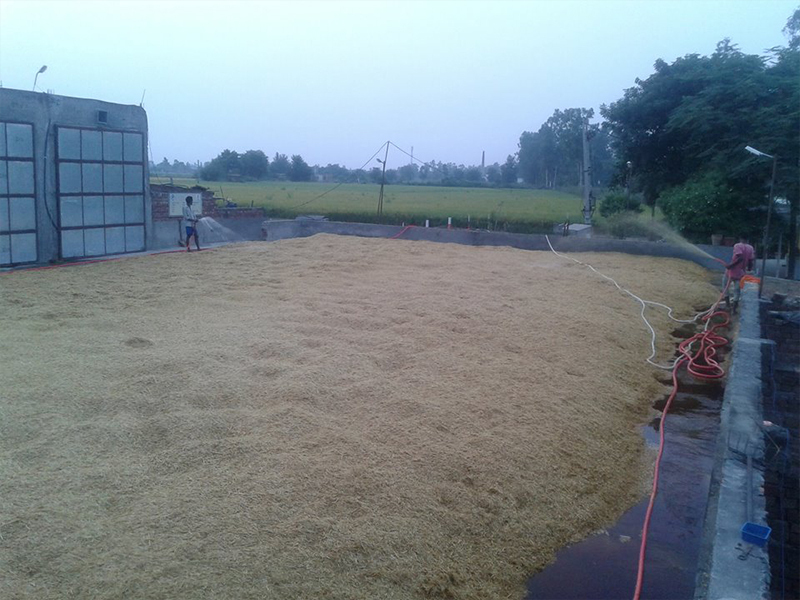 Along with my mother, I manage all the manufacturing and marketing part and also sits at the shop (Randhawa Mushroom Farm) which is situated at Batala-Jalandhar Road. 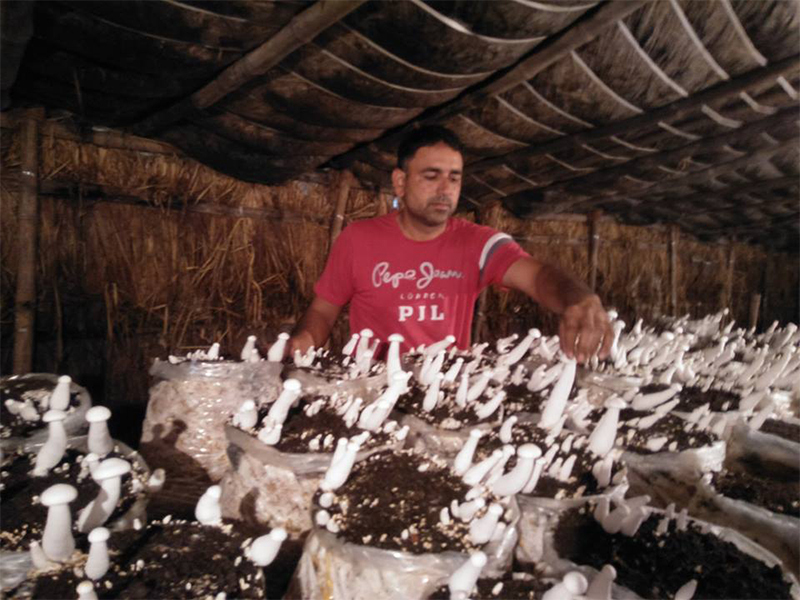 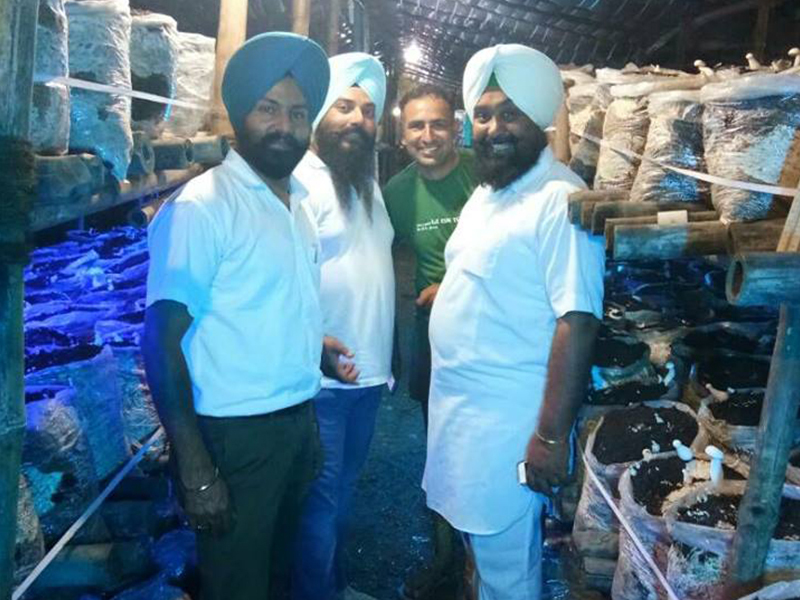 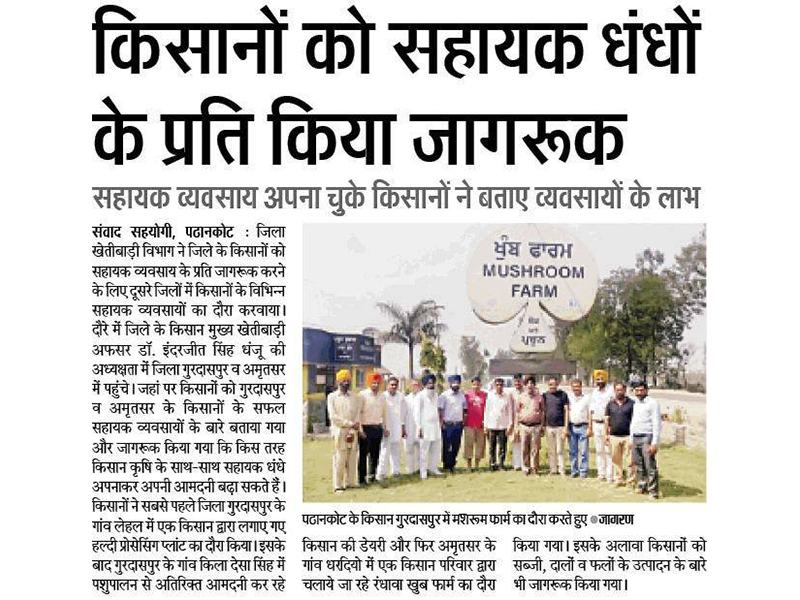 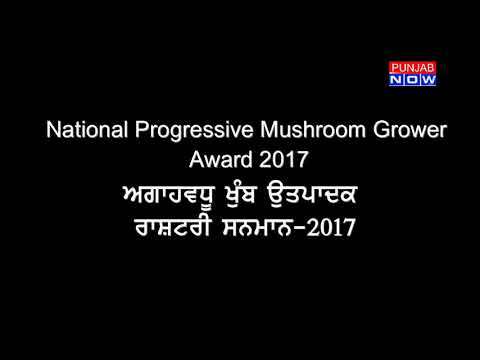 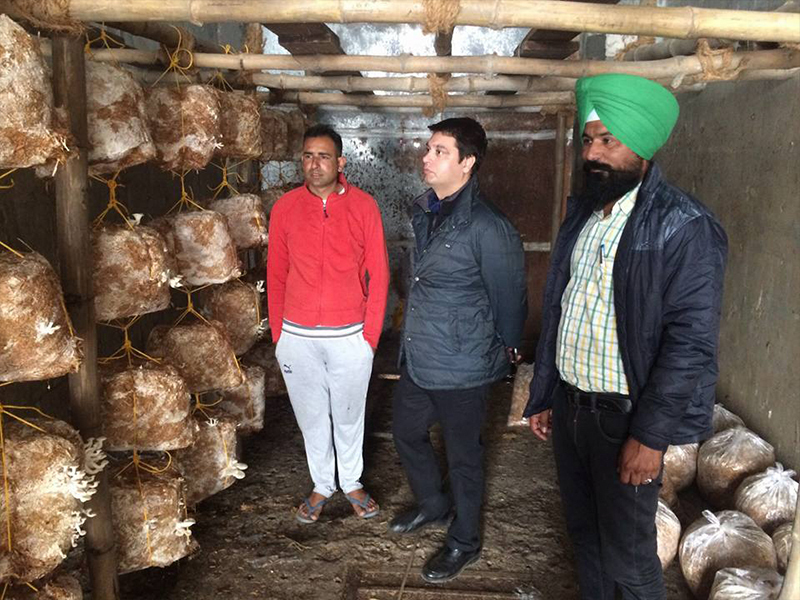 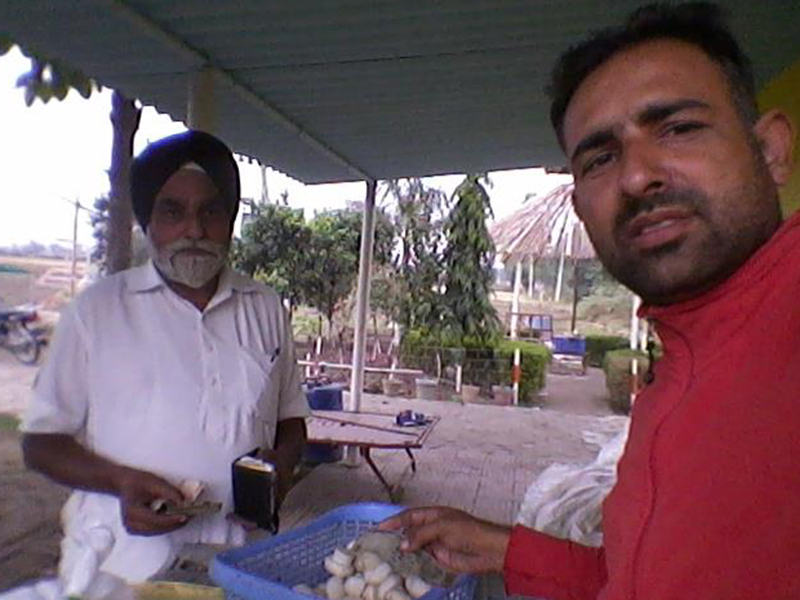 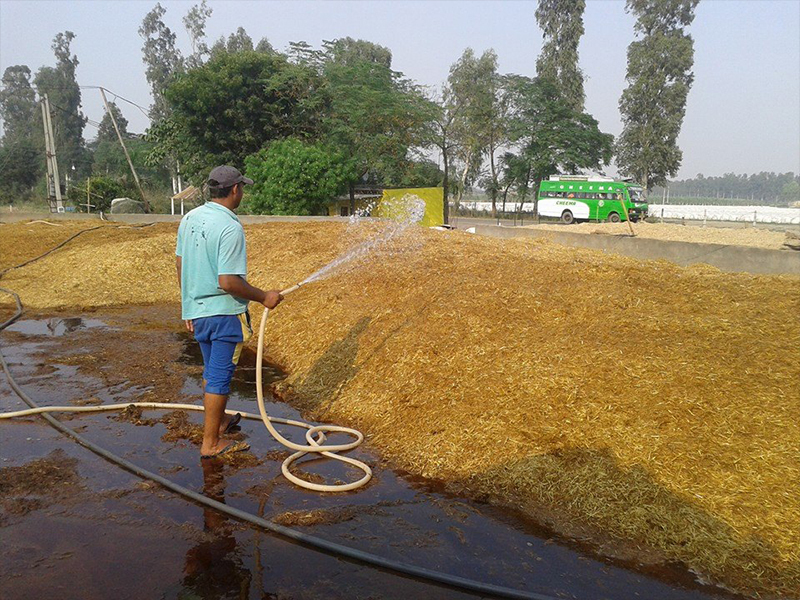 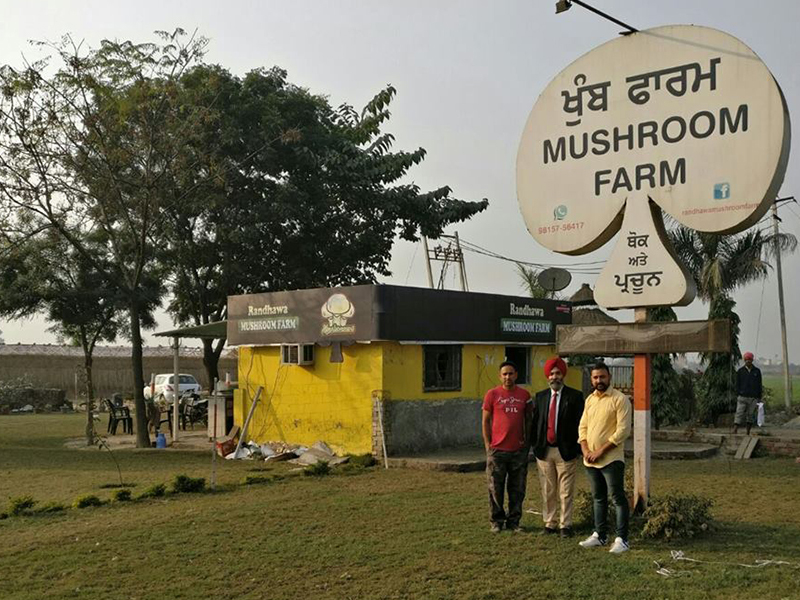 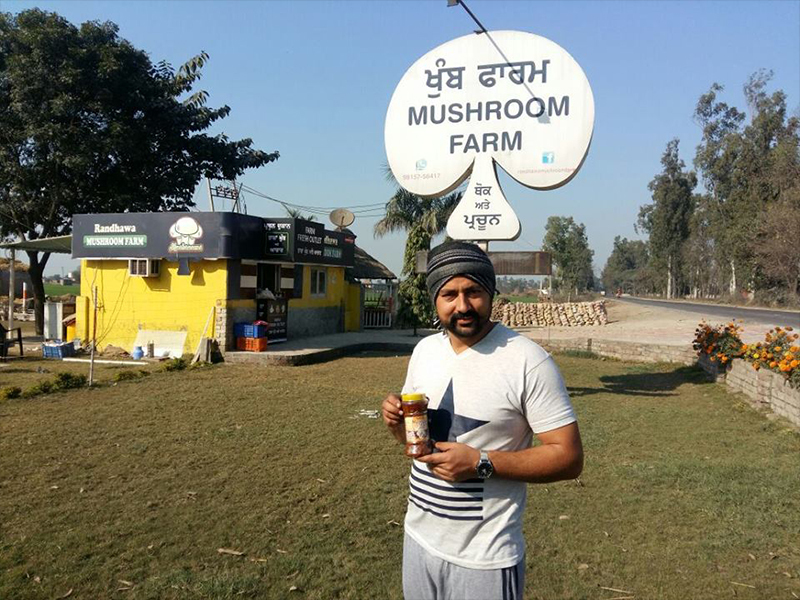 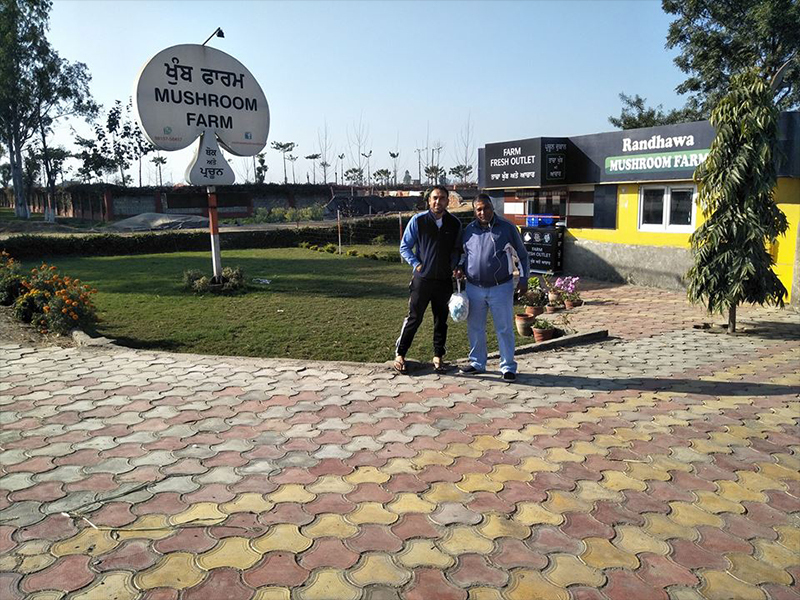 My elder brother Manjeet Singh and younger brother Harpreet Singh manages all the mushroom farming, harvesting and other work related to the business. 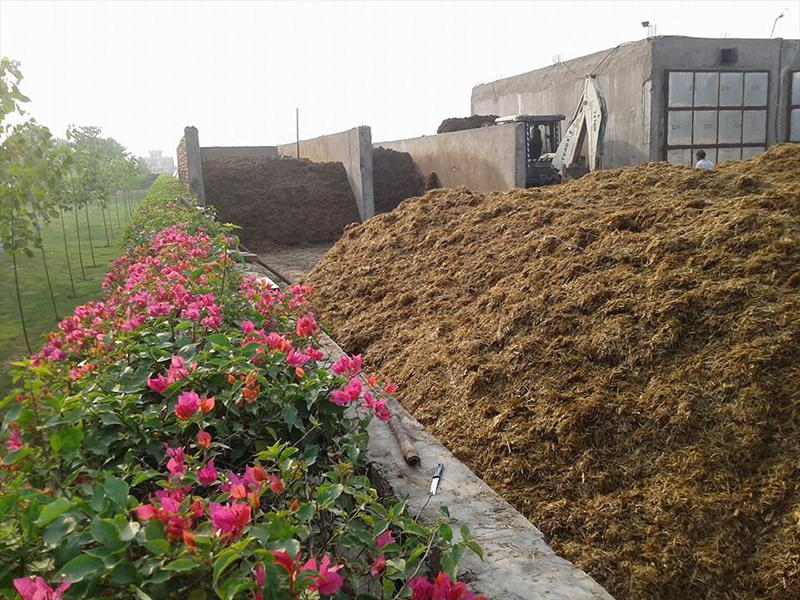 My mother especially take care of the hygiene and quality of the product manufactured by us. 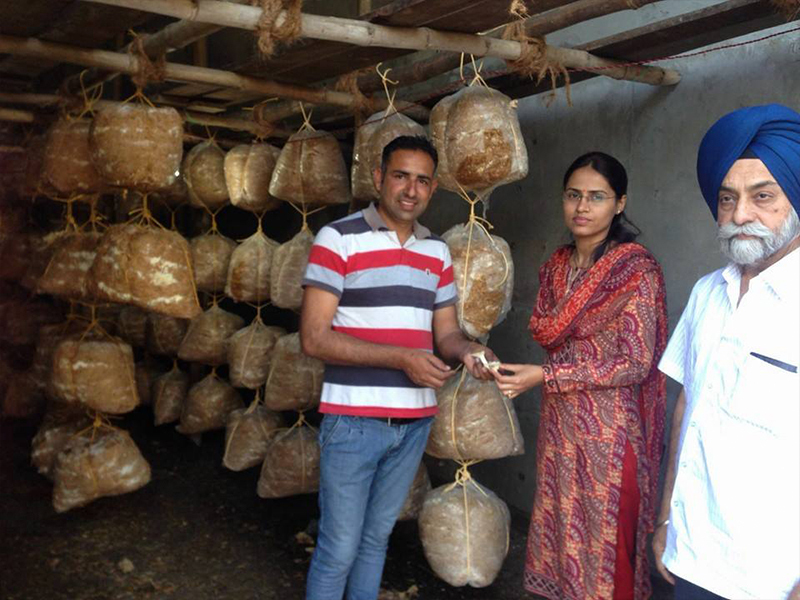 My mother is so much committed to our business that she wants our third generation to also be a part of it. 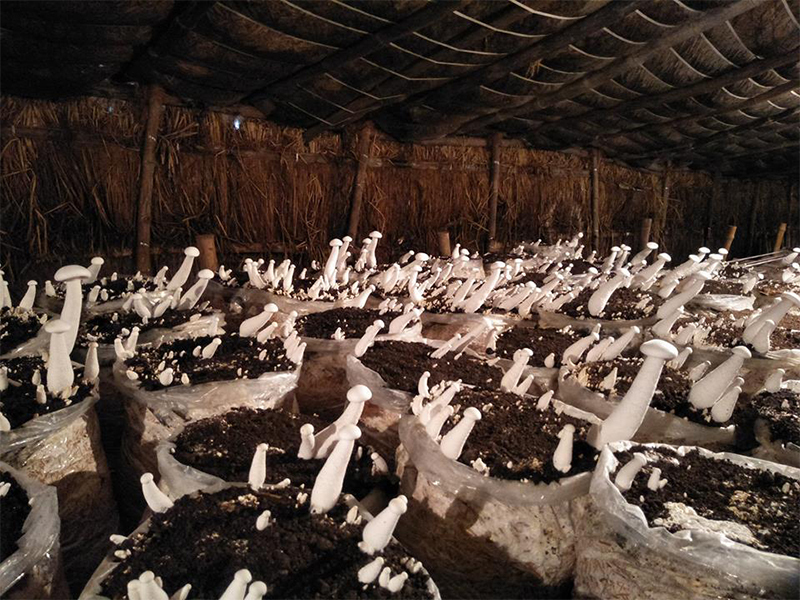 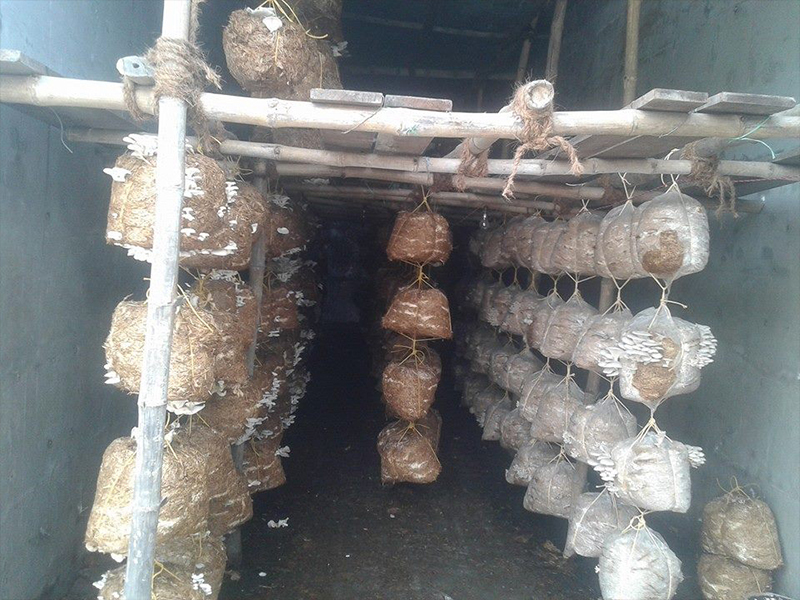 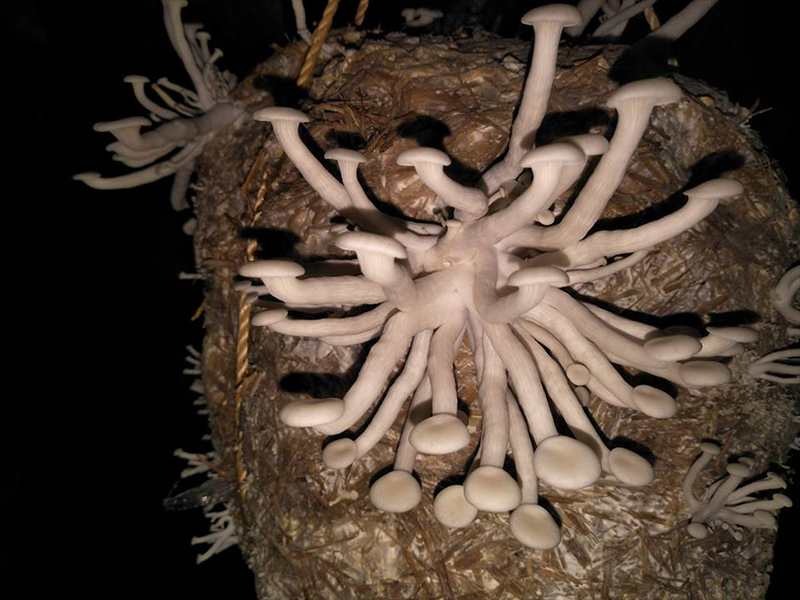 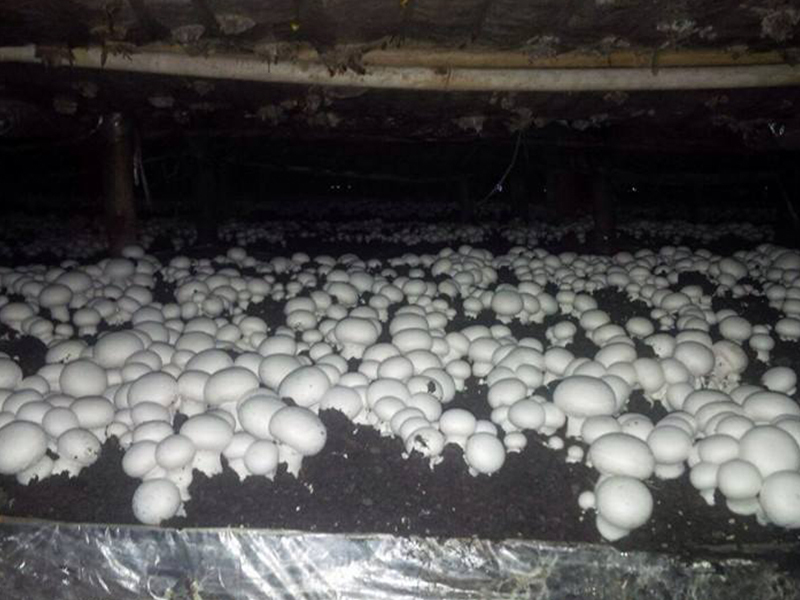 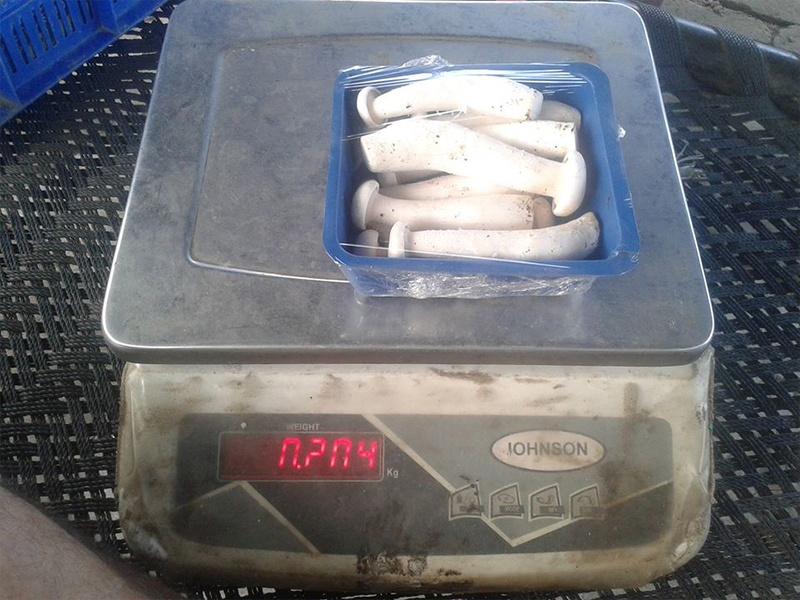 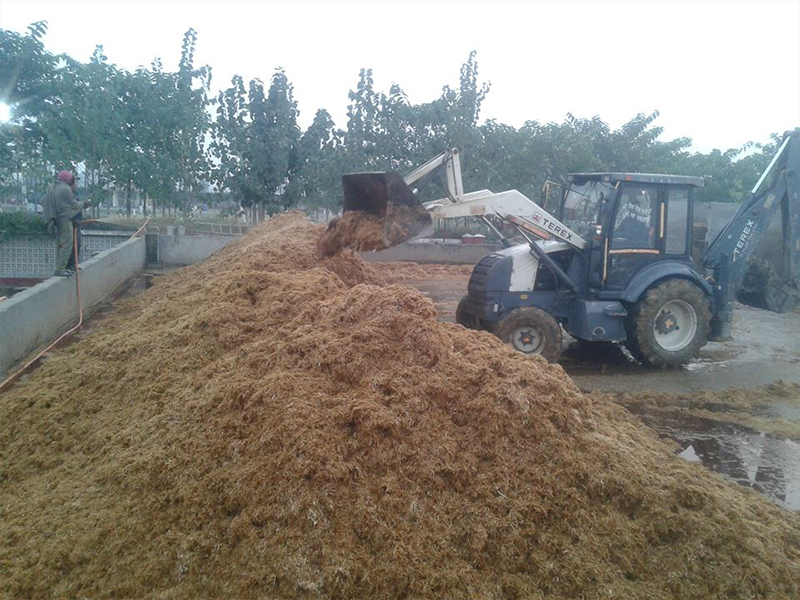 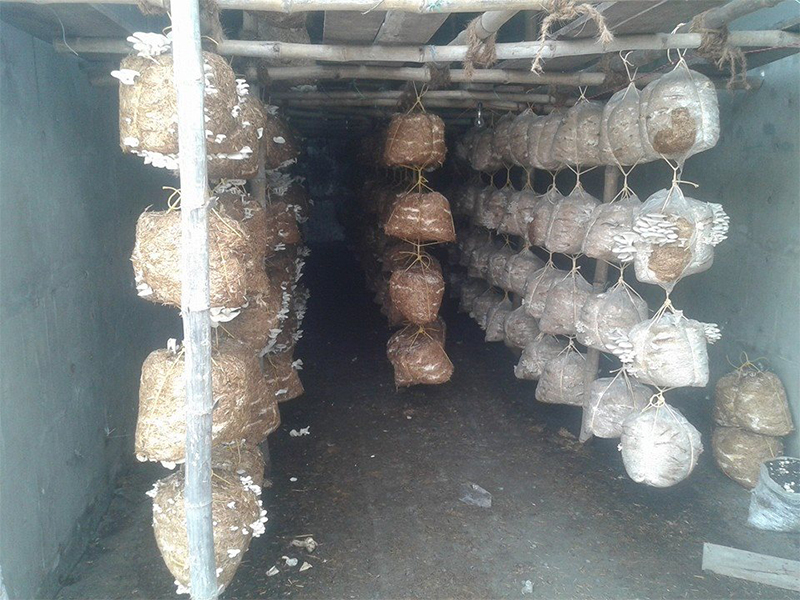 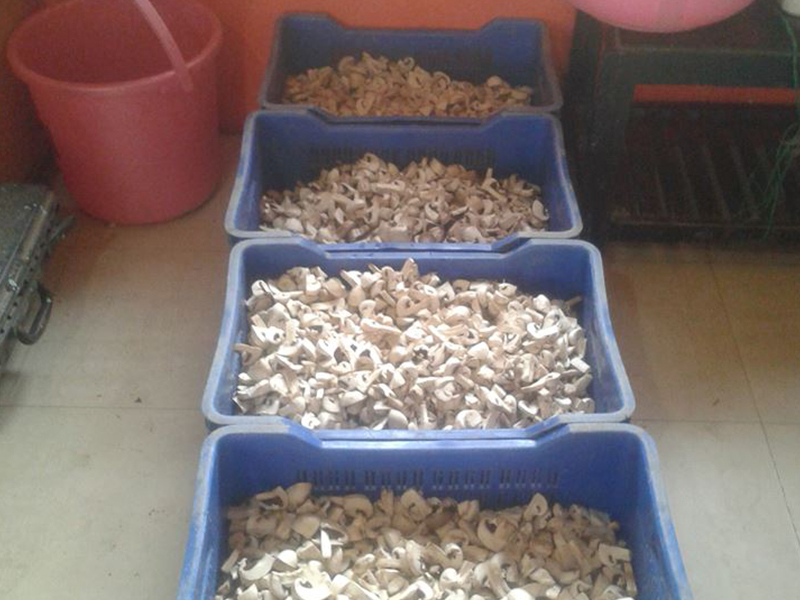 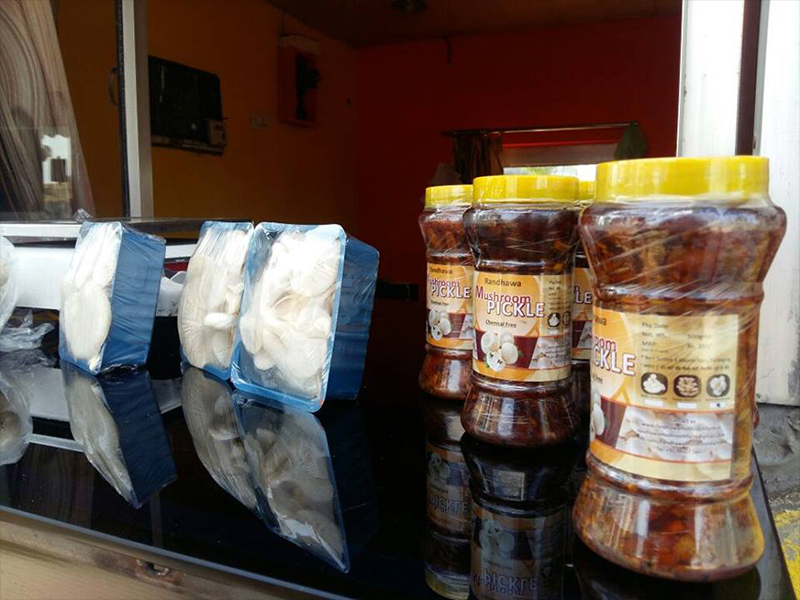 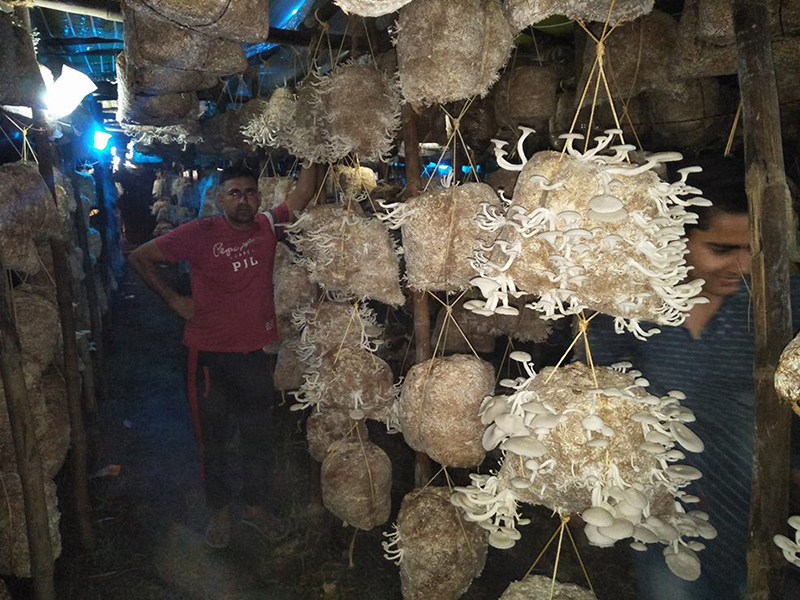 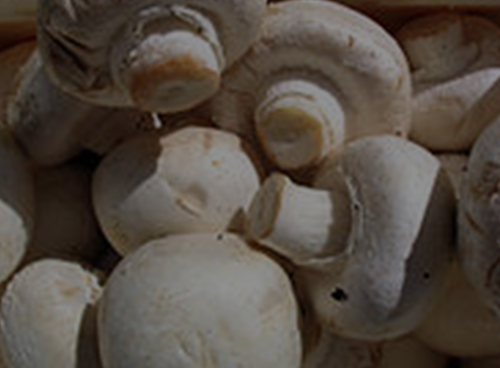 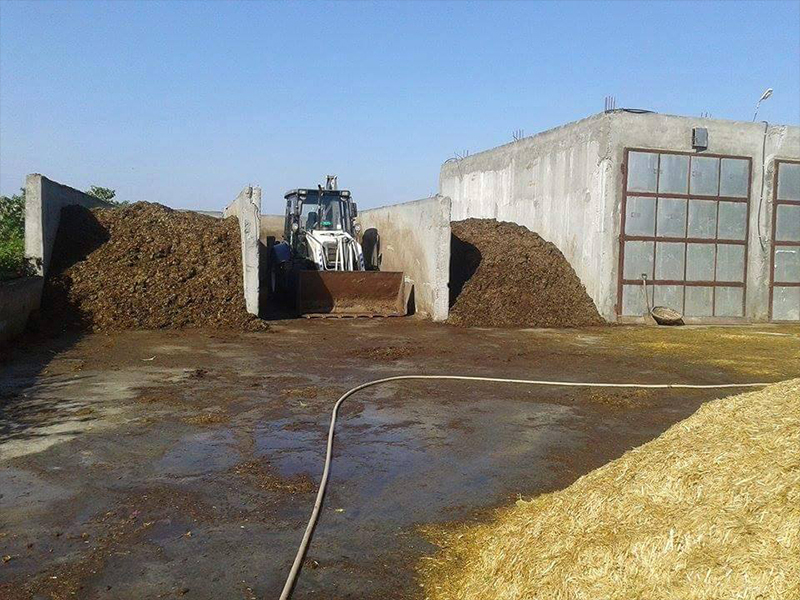 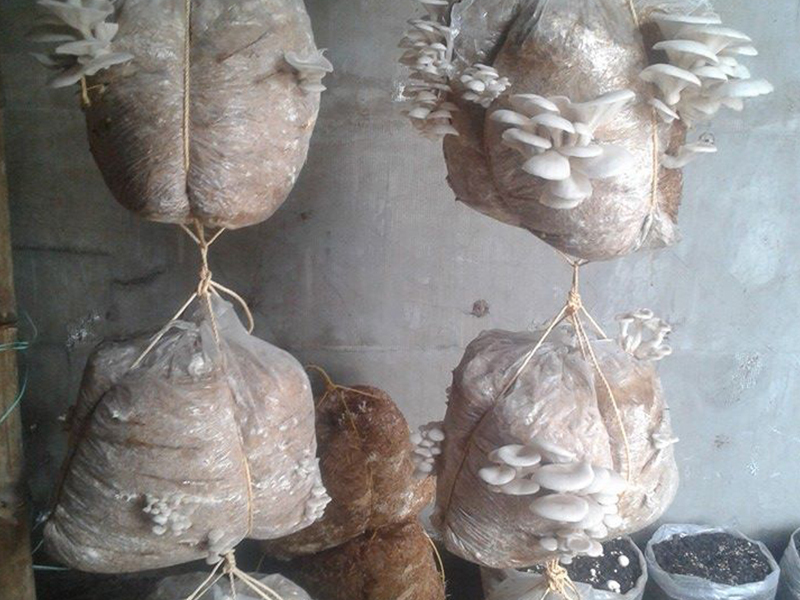 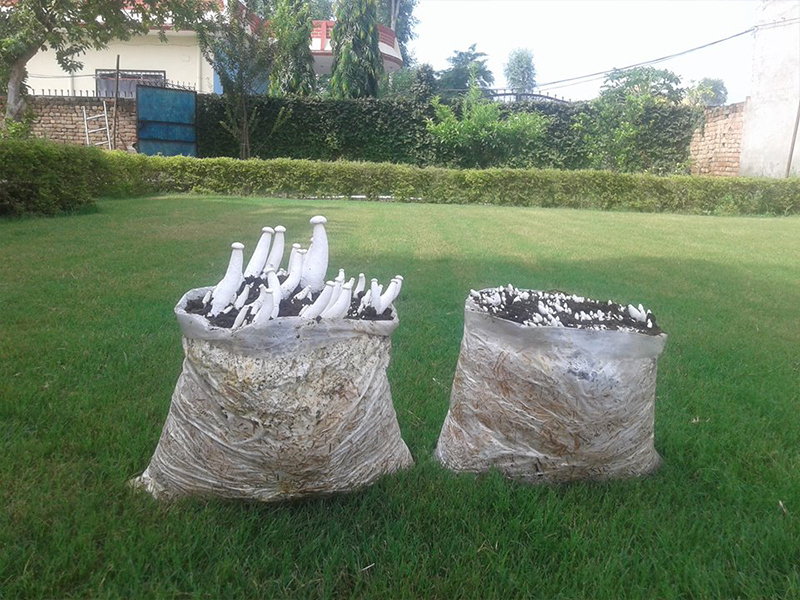 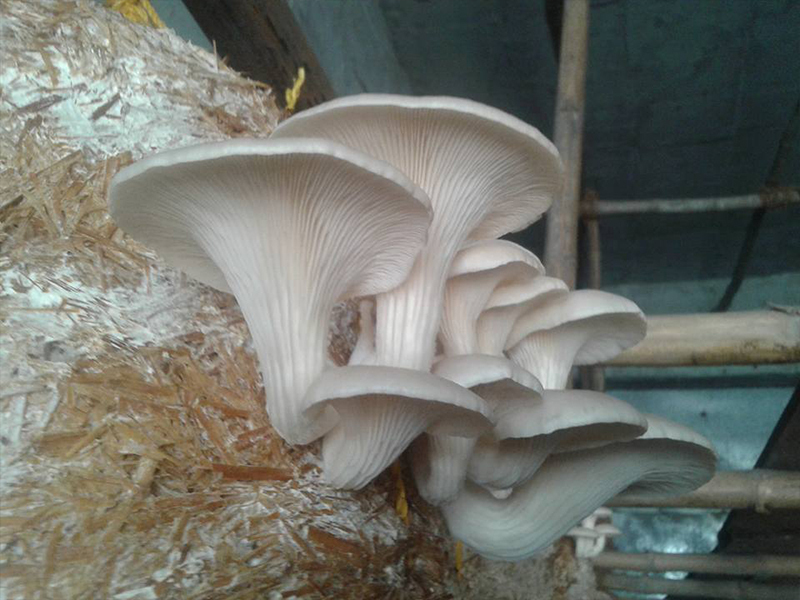 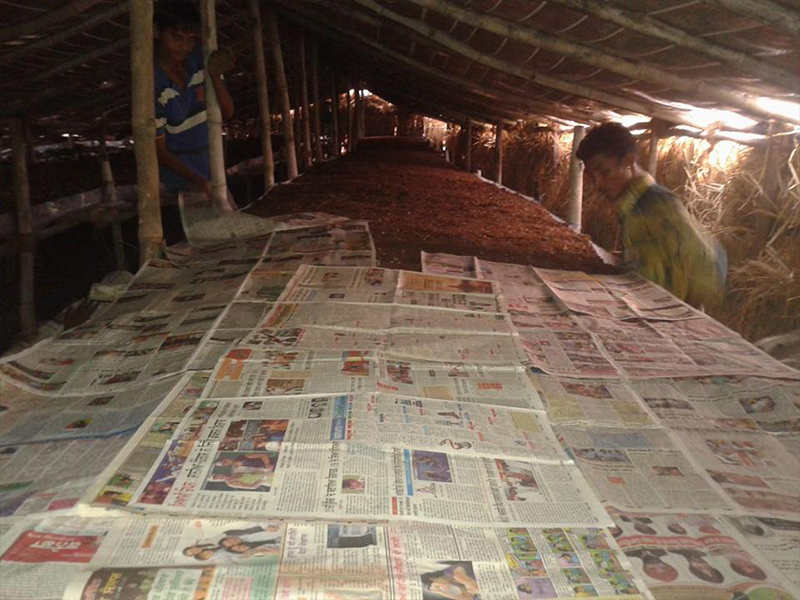 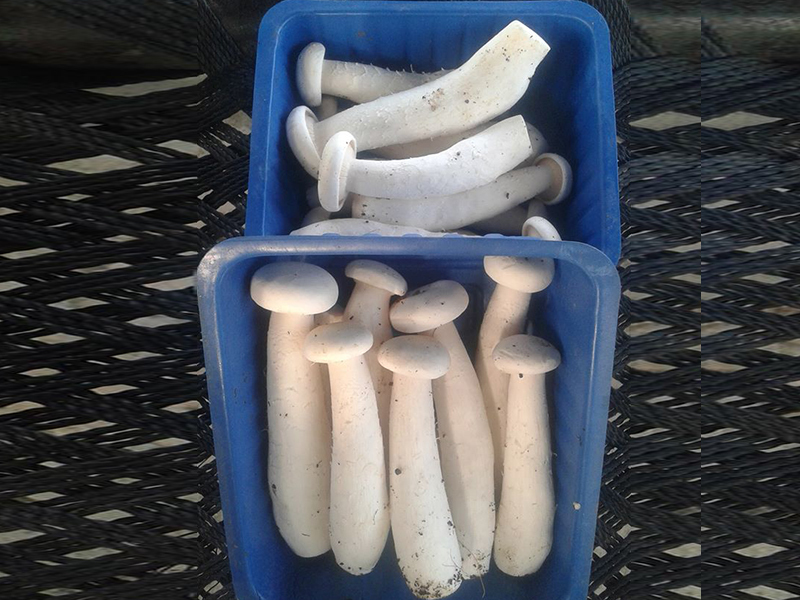 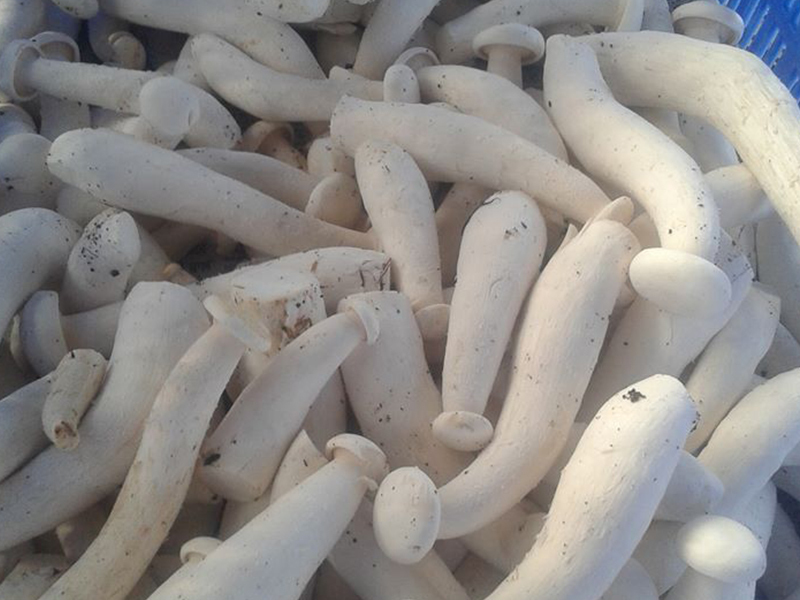 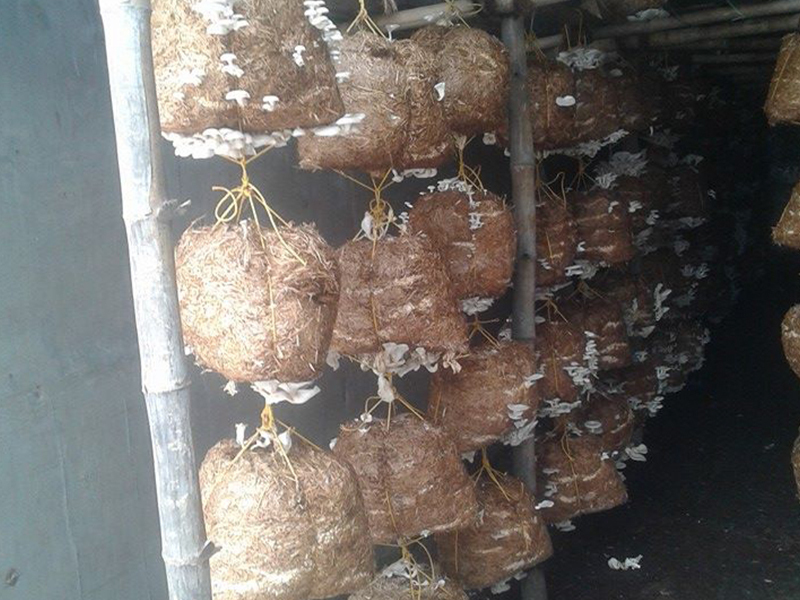 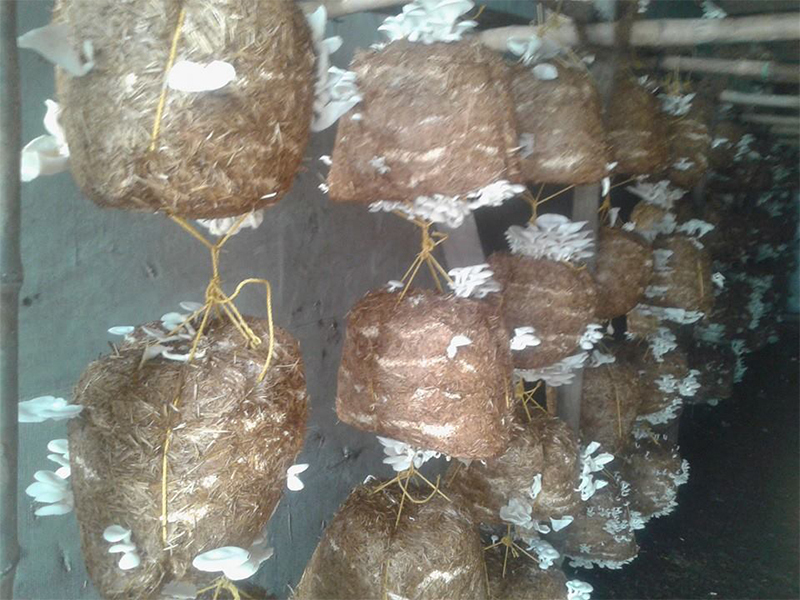 Currently we are generating good revenue from the mushroom farming and processing business. 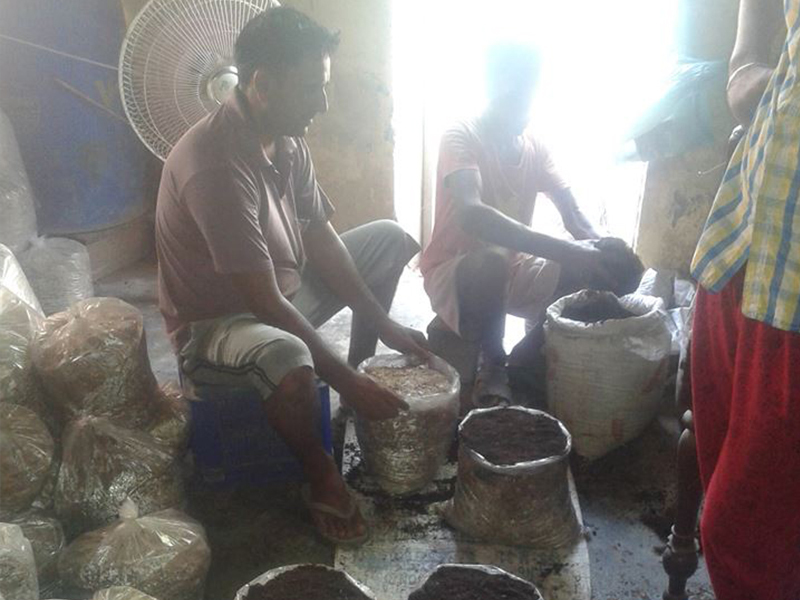 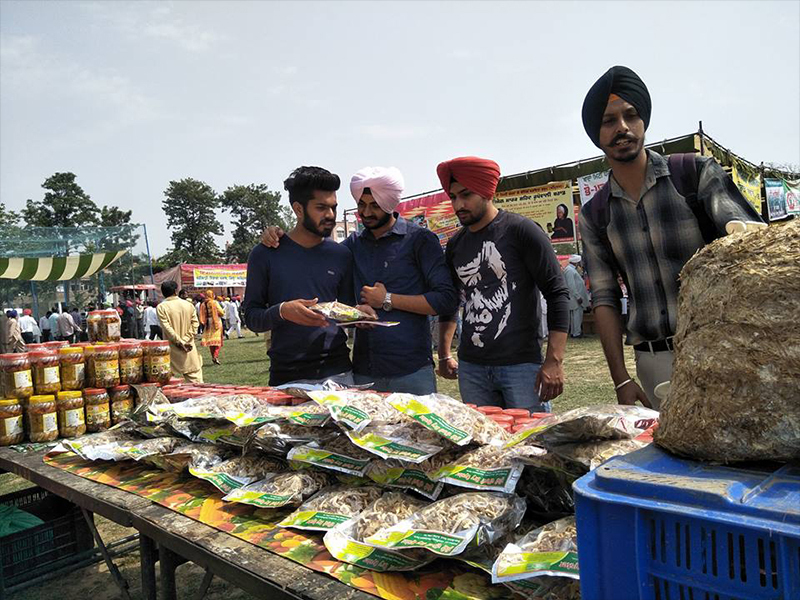 70% of the produce (fresh mushrooms and processed mushroom food items) are sold through our shop and the rest of the 30% are sent to vegetable markets of nearby big cities like Jalandhar, Amritsar, Batala, and Gurdaspur. 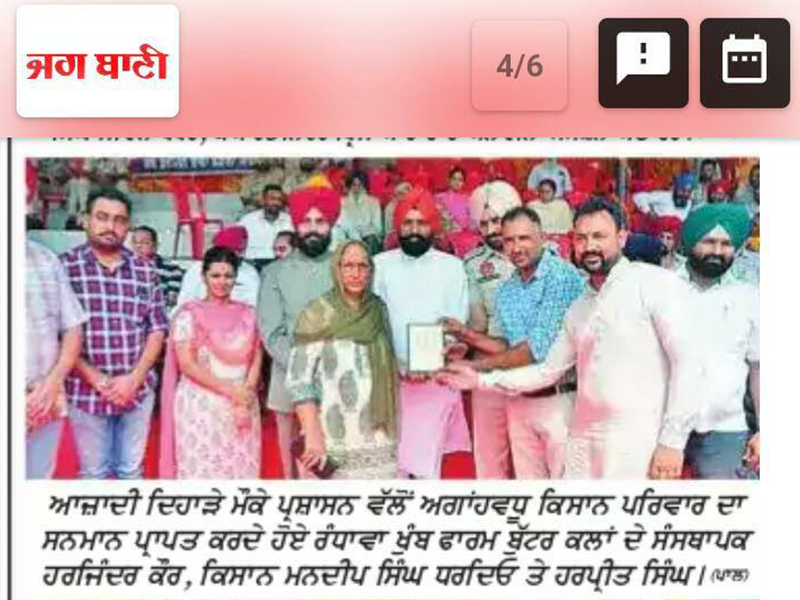 Received district level award two times. 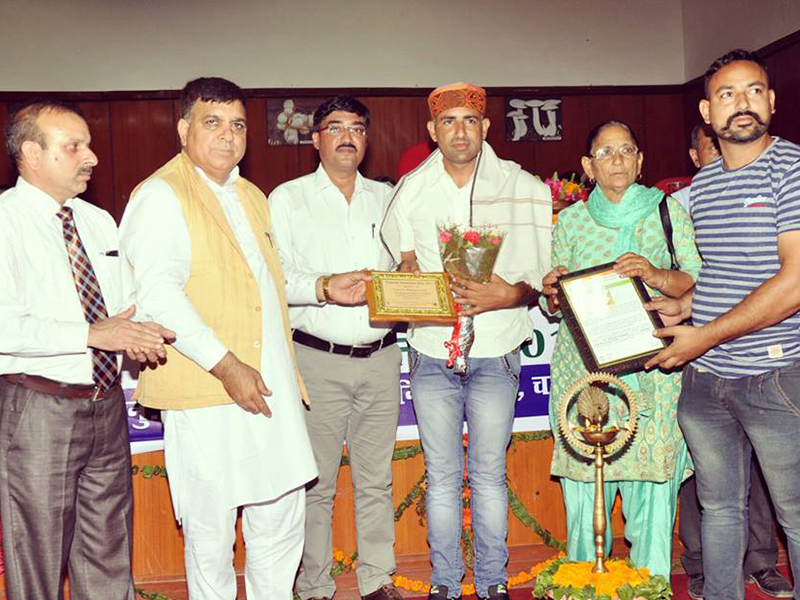 Received tehsil level awards many times in events and fairs. 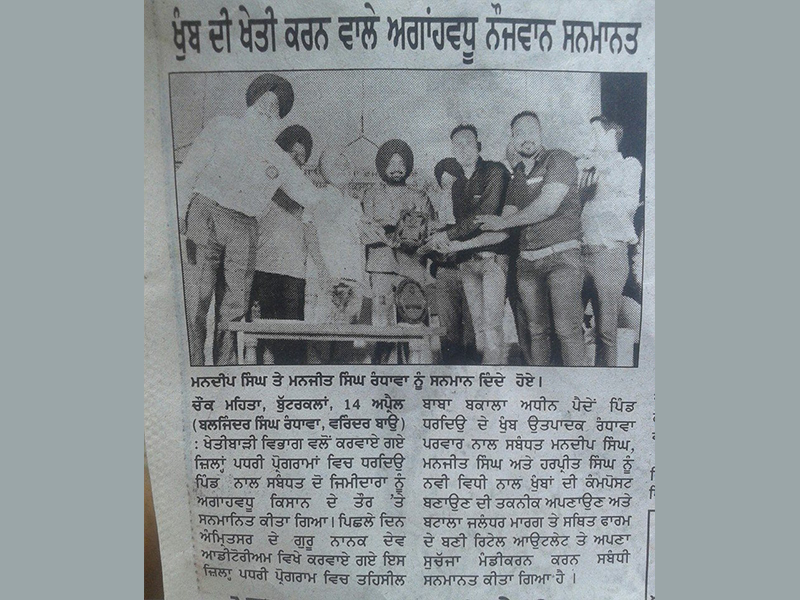 The family which stays together achieves success very easily. 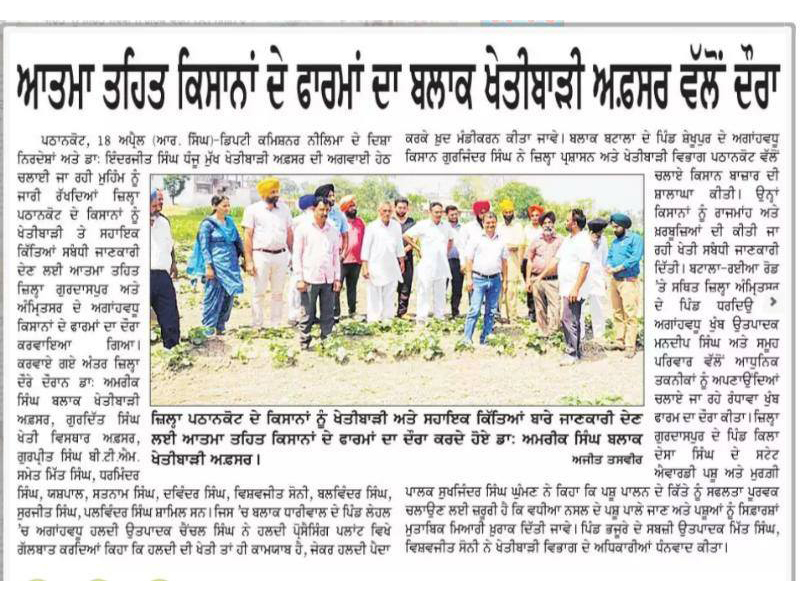 Nowadays farmer should understand the power of unity and instead of dividing their land and property among the family members they should live and work in unity. 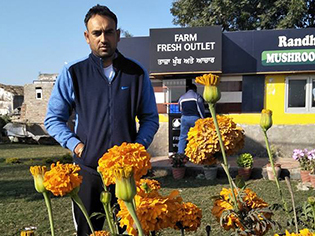 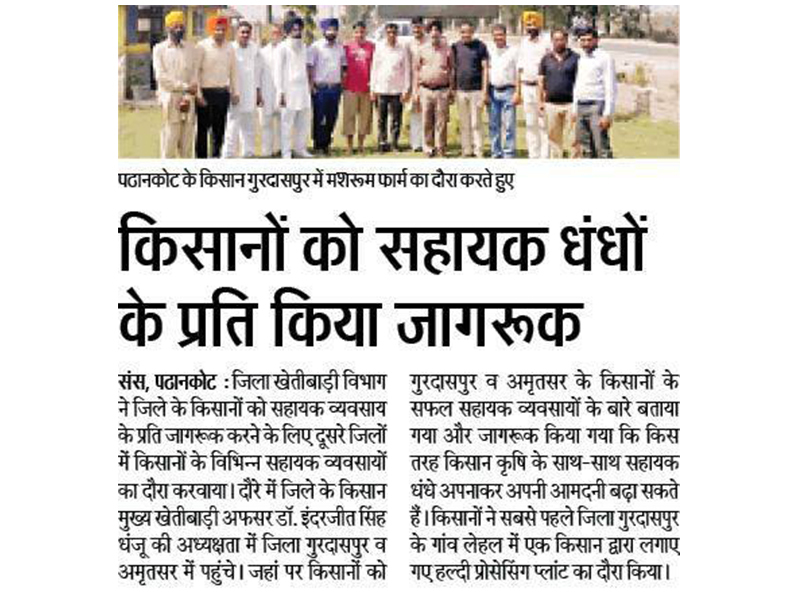 One more thing that farmer should start is self-marketing because it is the easiest way to earn confidence and earn the right price of your harvest.